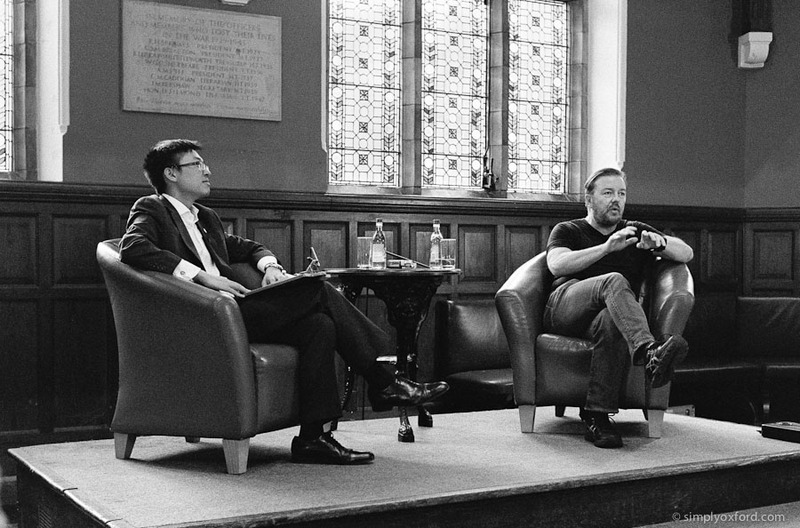 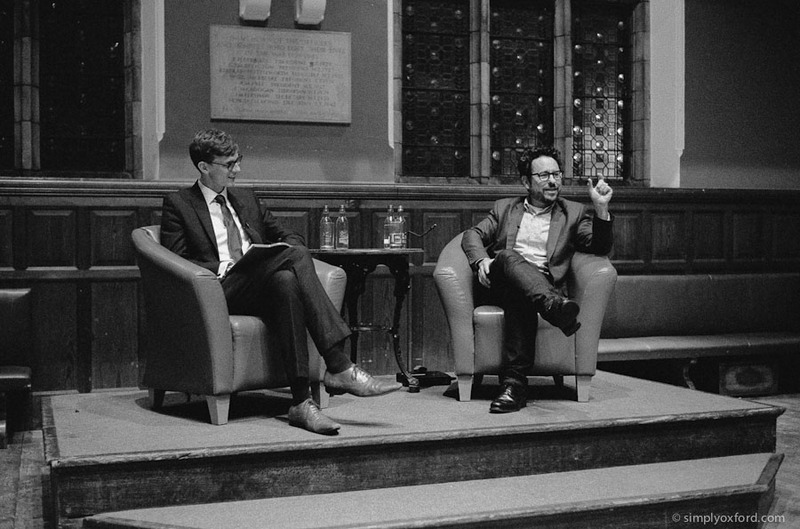 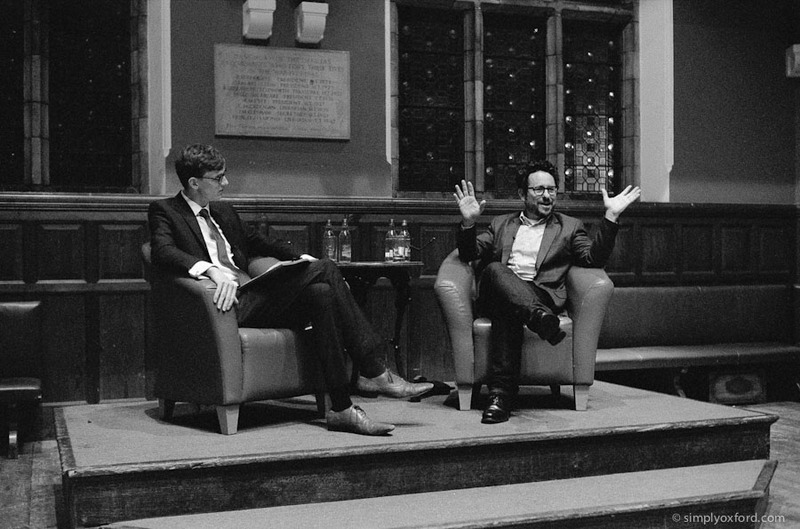 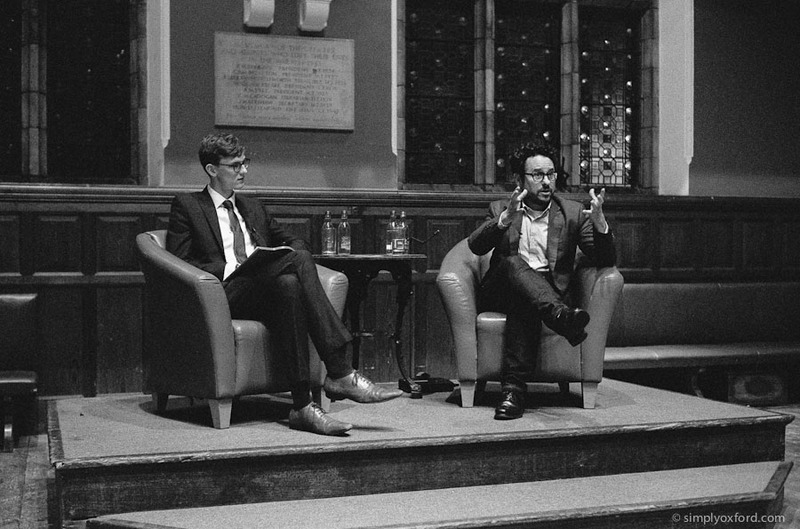 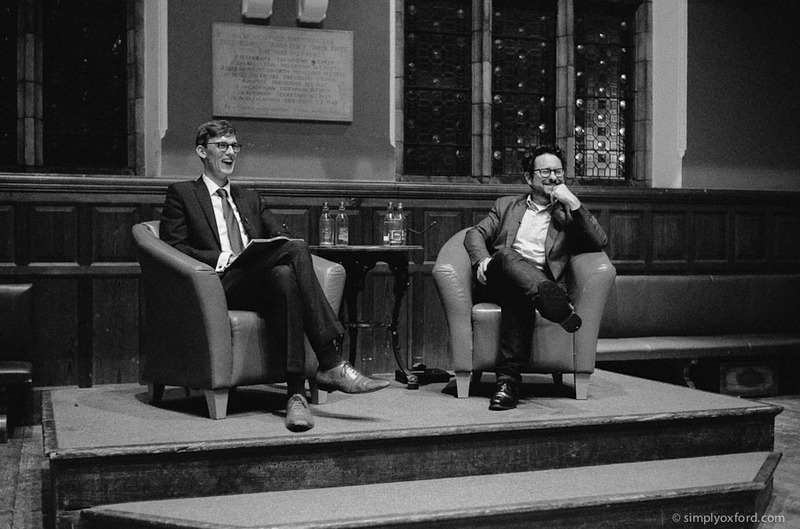 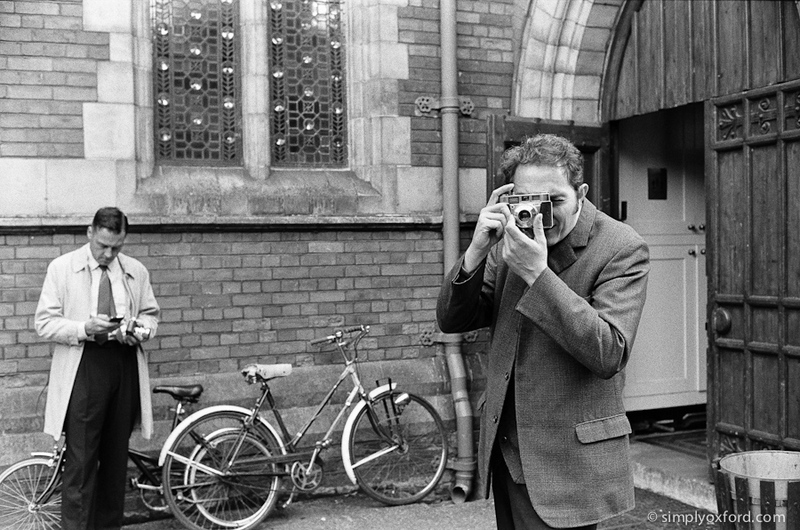 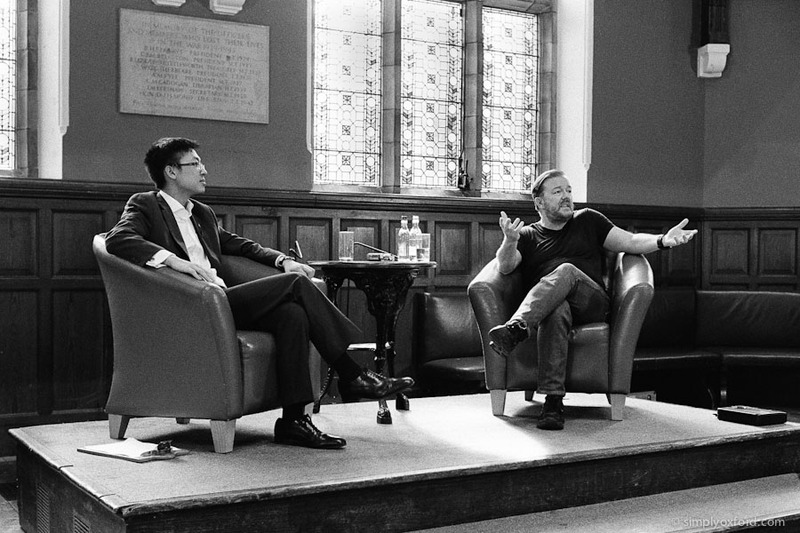 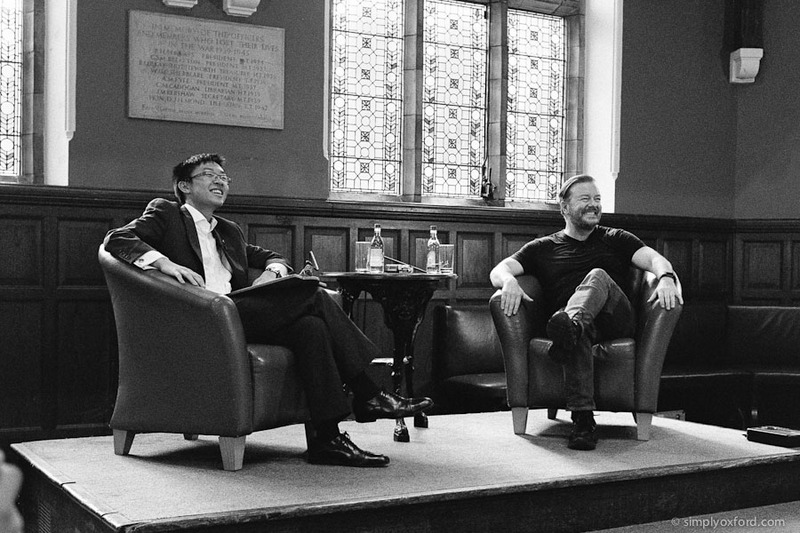 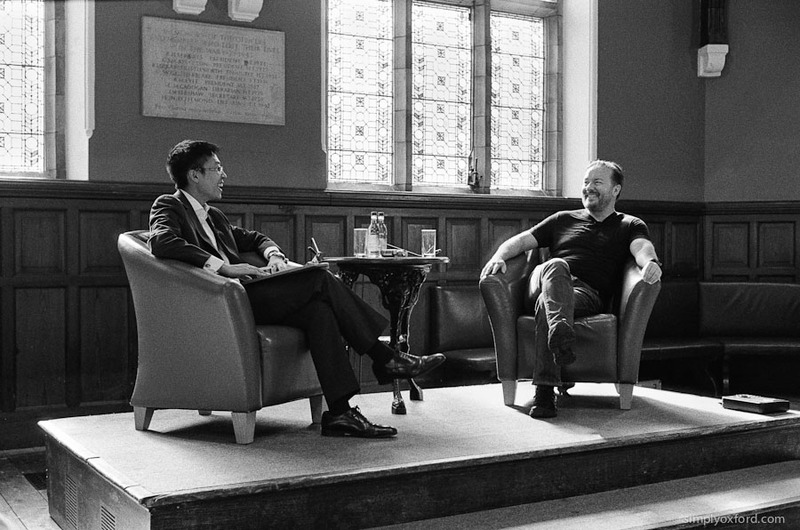 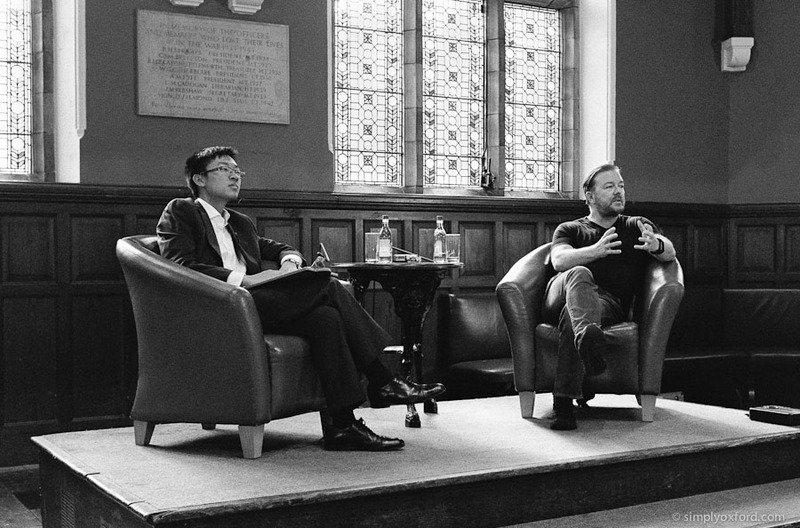 J. J. Abrams came to the Oxford Union for a Q&A event and I went along to do some documentary photography. 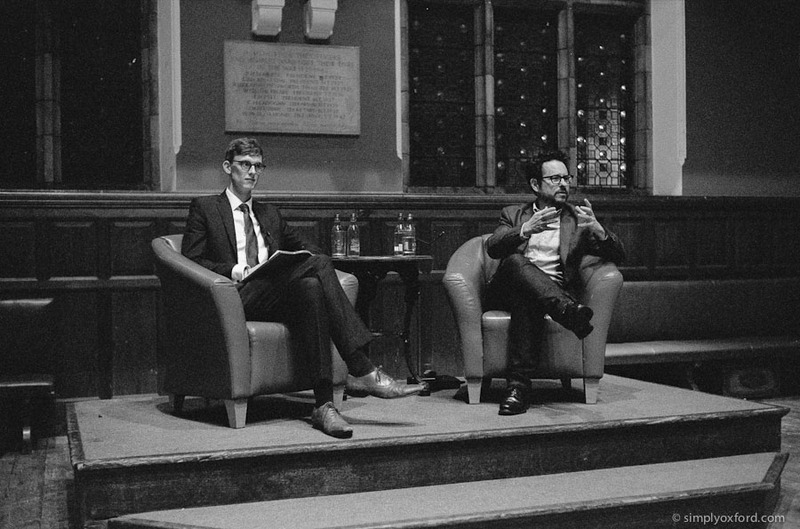 In March last year I photographed Mark Hamill sitting in the same chair while on a break from filming Episode VIII so it was nice to hear J. J. Abrams talk a little – but not much – about Episode IX. 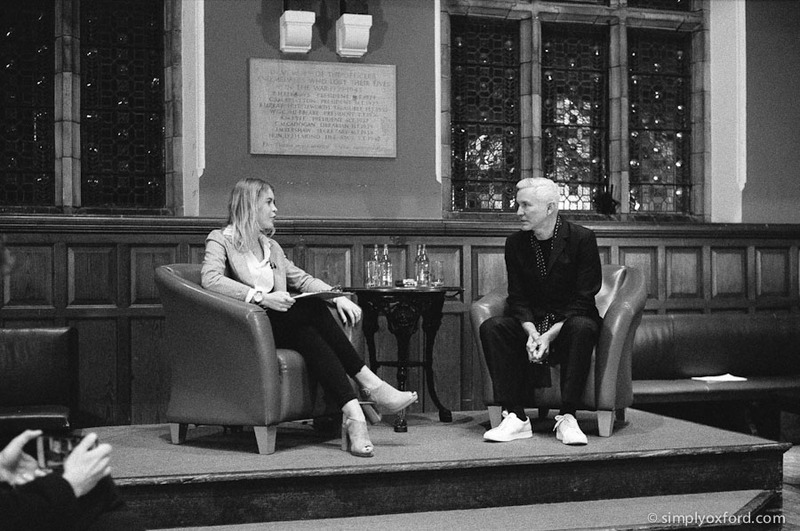 Conversation mostly centred around Star Wars but tv shows that he had created and worked on did get mentioned – I highly recommend ALIAS if you’ve never watched it. 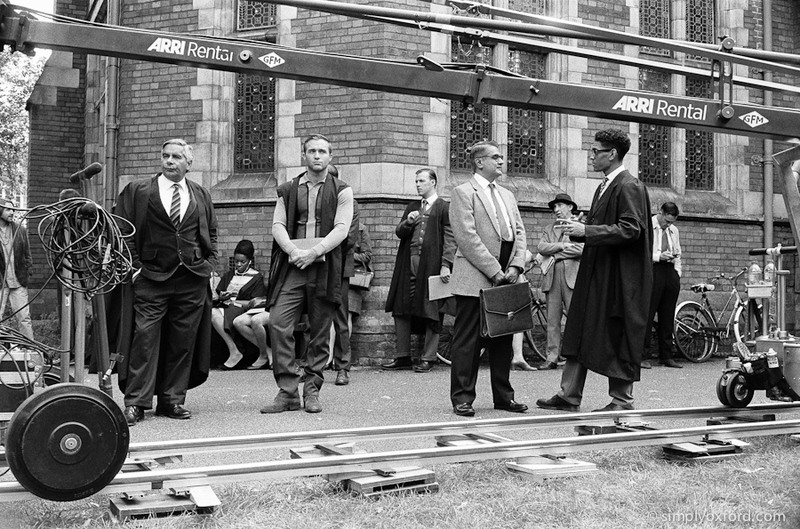 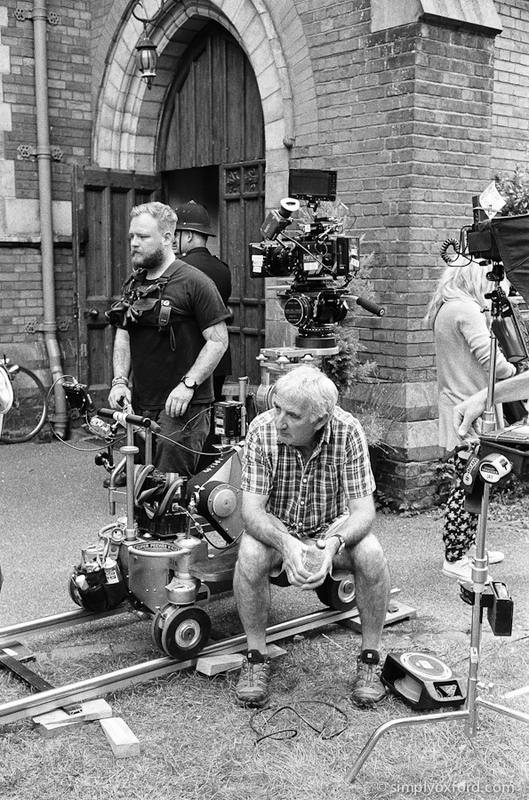 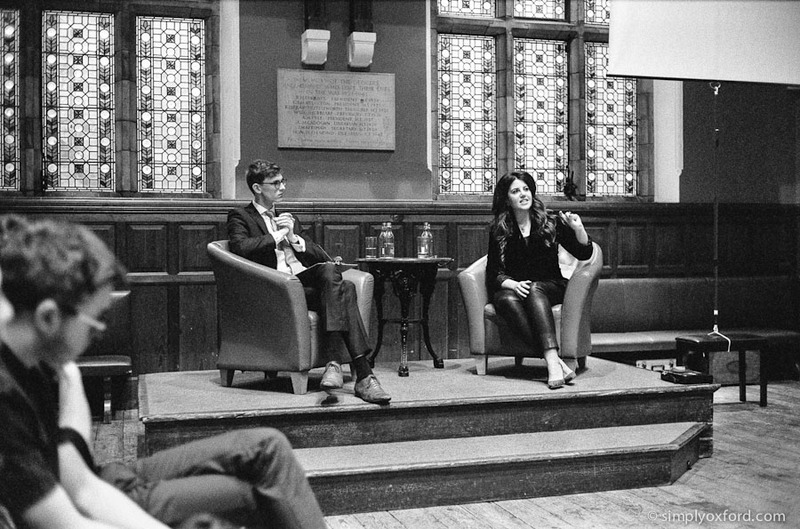 There were no video cameras at the event so unfortunately this won’t be appearing on the Oxford Union YouTube channel. 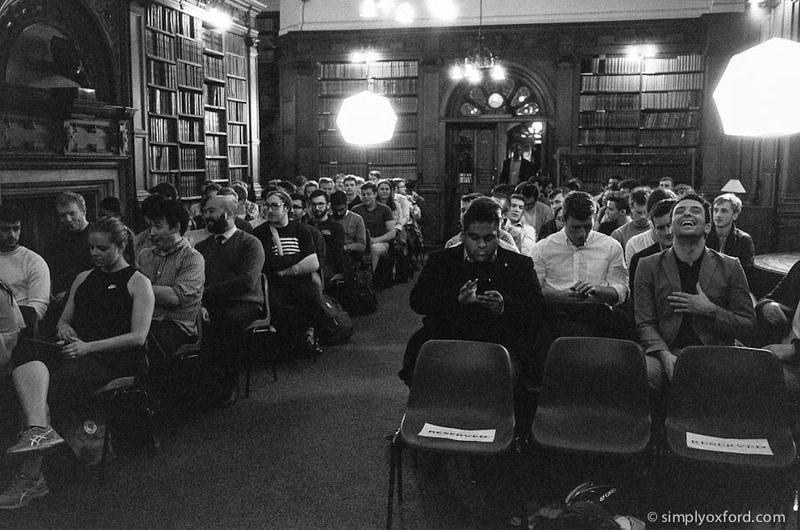 Without help from the lights that the video crew use the light level in the debating chamber is quite low for photography which is why I had to push my film to ISO 3200 which isn’t a problem for Ilford HP5. 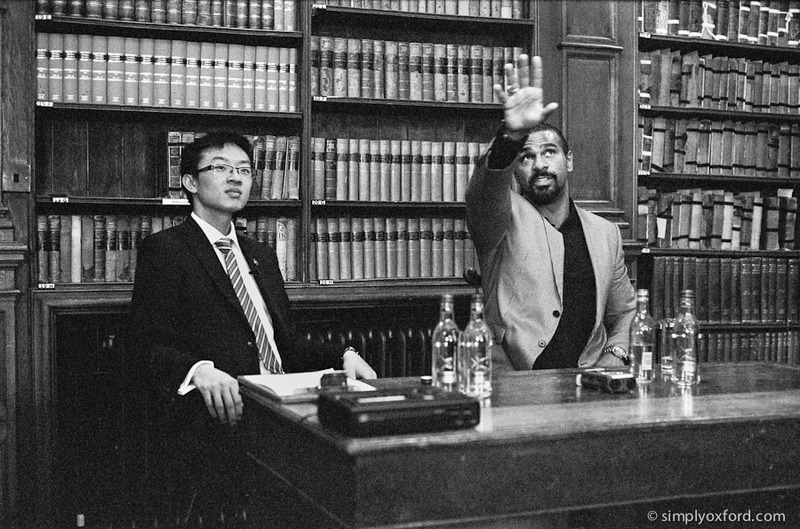 [Tech info:] Leica M6, 40/1.4 Voigtlander Nokton, Ilford HP5 @ ISO 3200, developed in Kodak HC110 1+15. 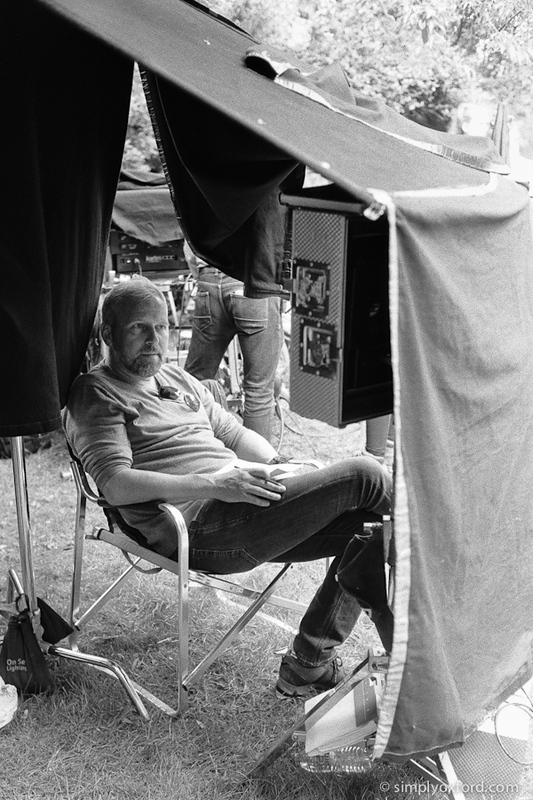 Pakon scans. 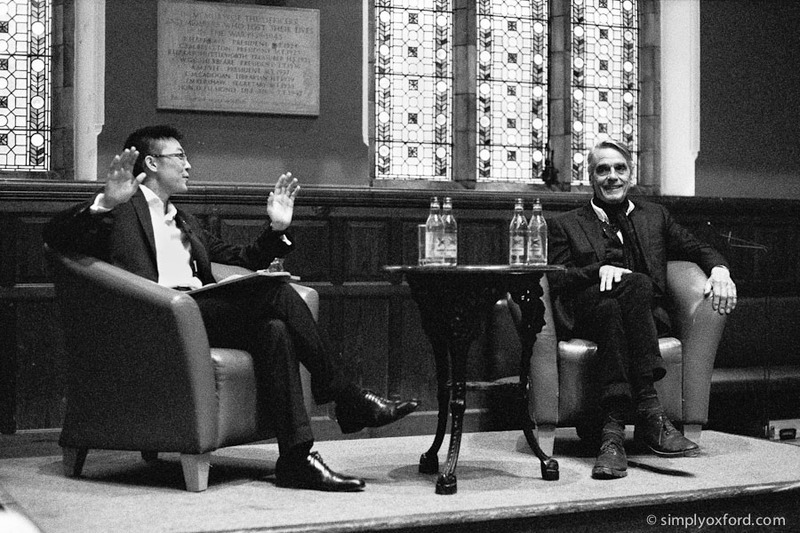 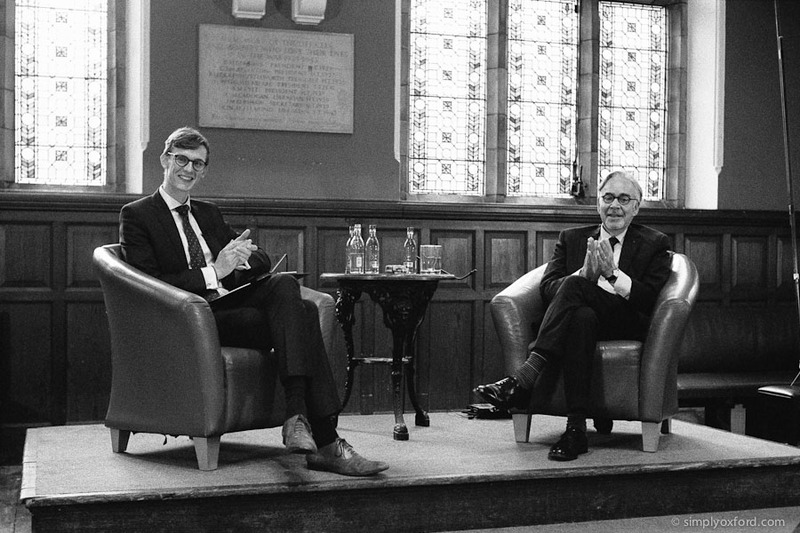 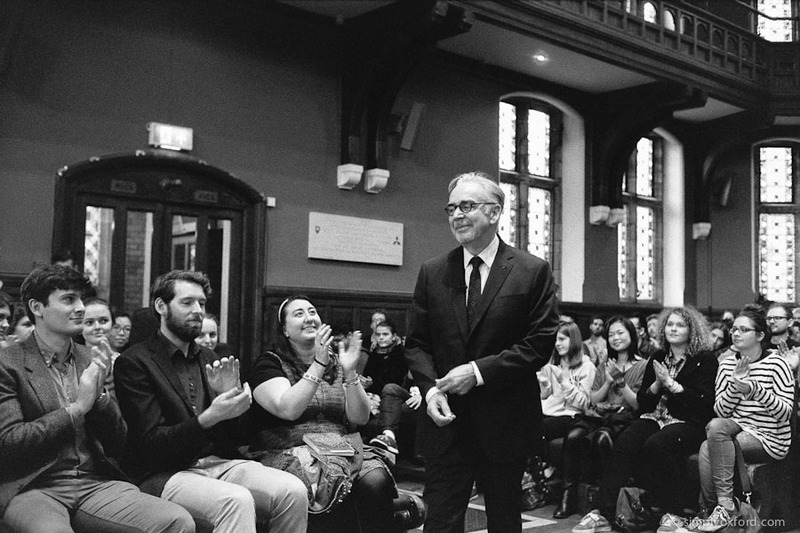 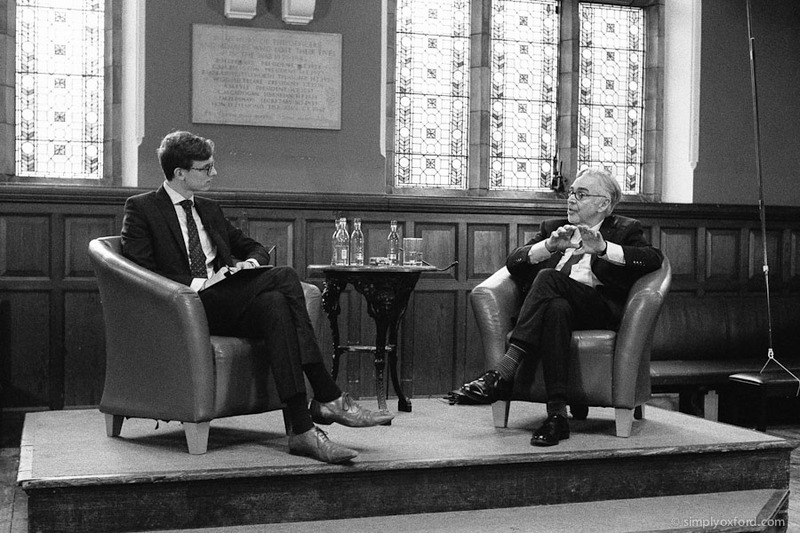 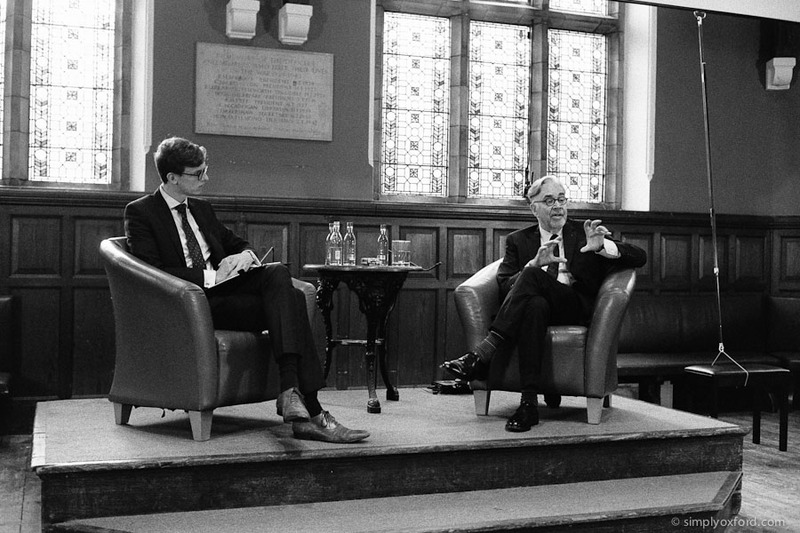 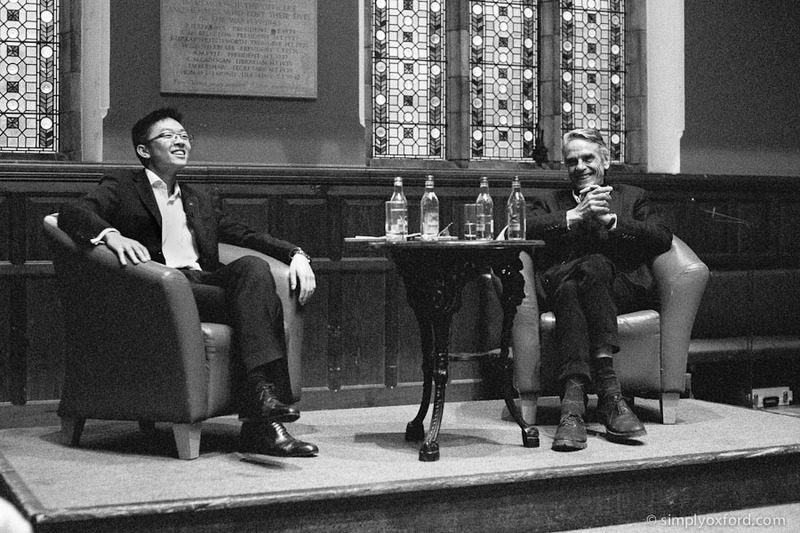 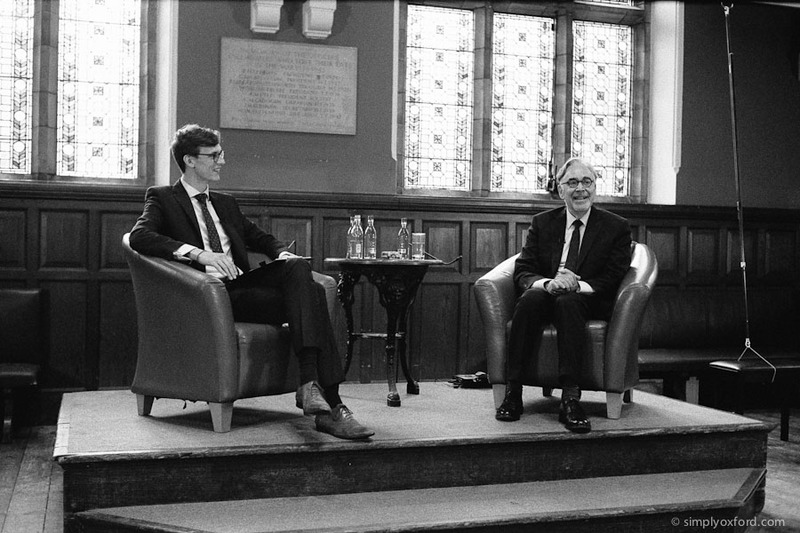 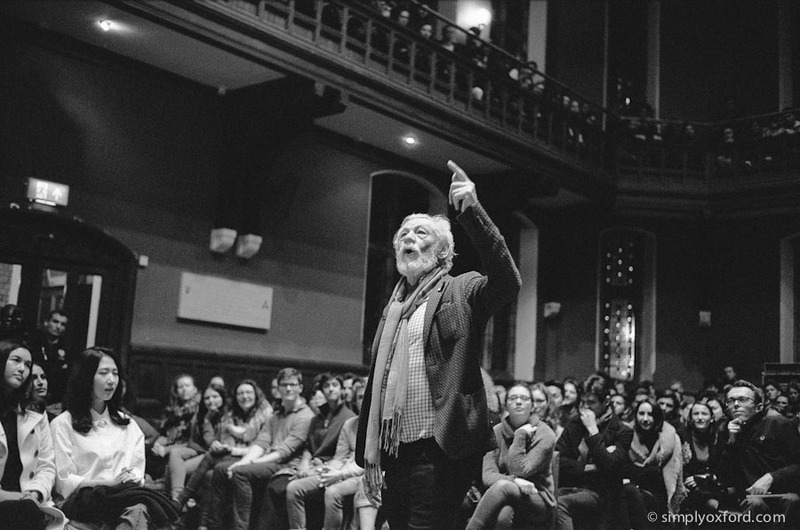 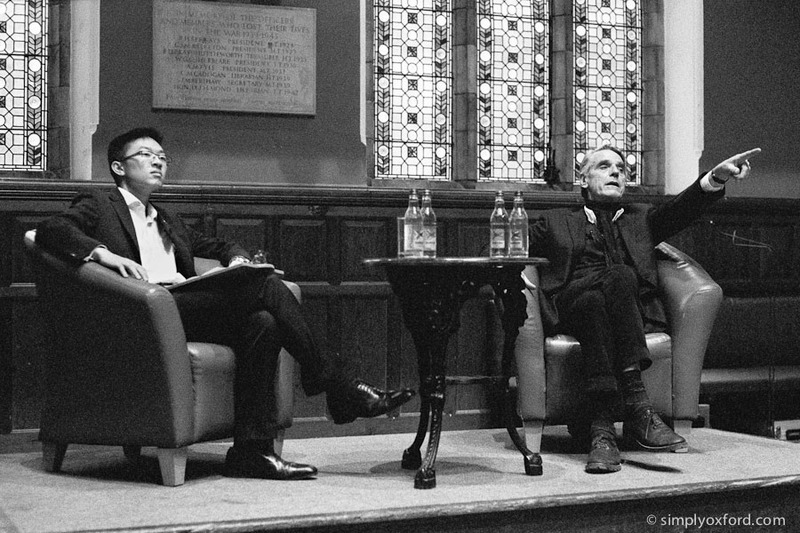 Music composer Howard Shore came to the Oxford Union for a Q&A event and I went along to do some documentary photography. 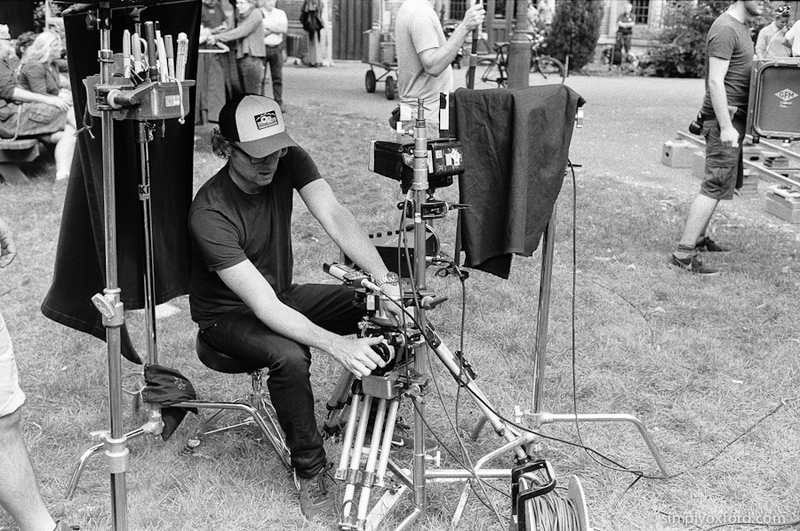 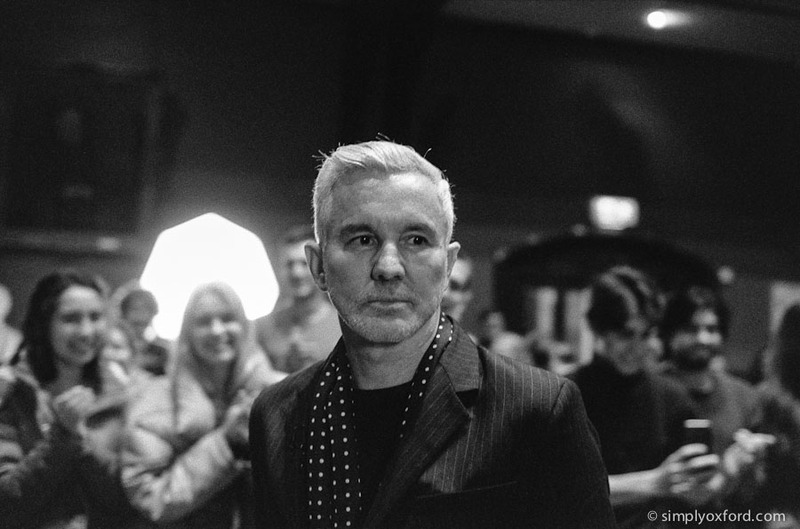 He has composed the scores for over 80 films but appears to be most well known for his work on the Lord of the Rings and The Hobbit film trilogies. 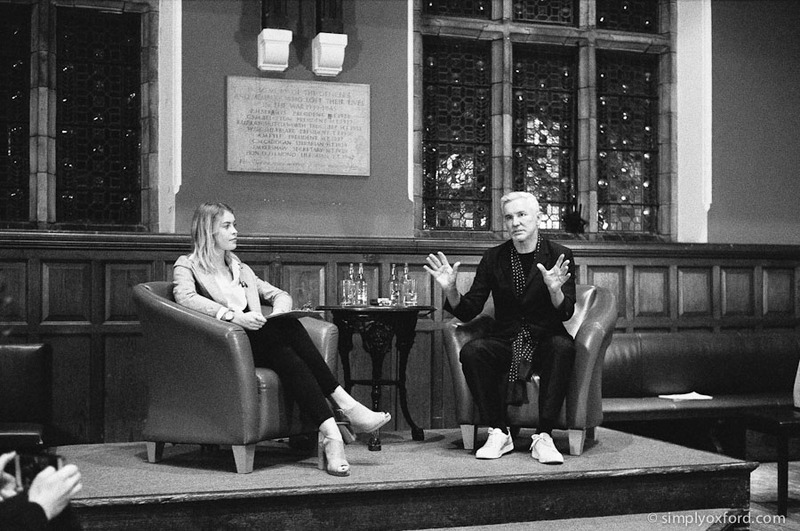 I’ve been a fan of his film scores for many years and was hoping there would be some discussion on his collaborations with David Fincher – one of my favourite directors – but the Lord of the Rings movies was the main topic of conversation on this occasion. 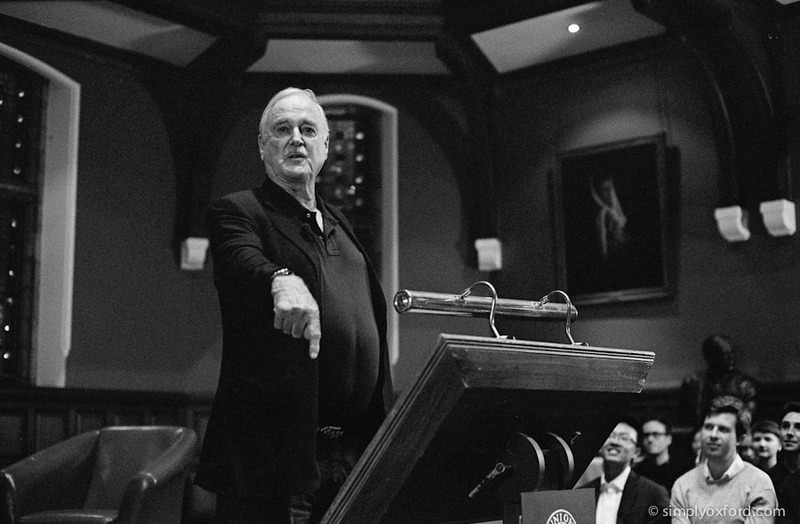 The projector screen you can see in some of the pictures was used to play some movie clips to talk about which was a great idea. 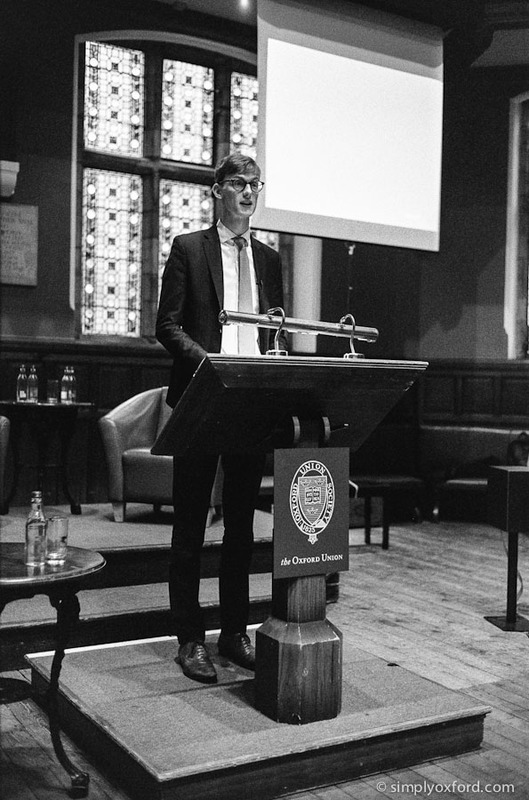 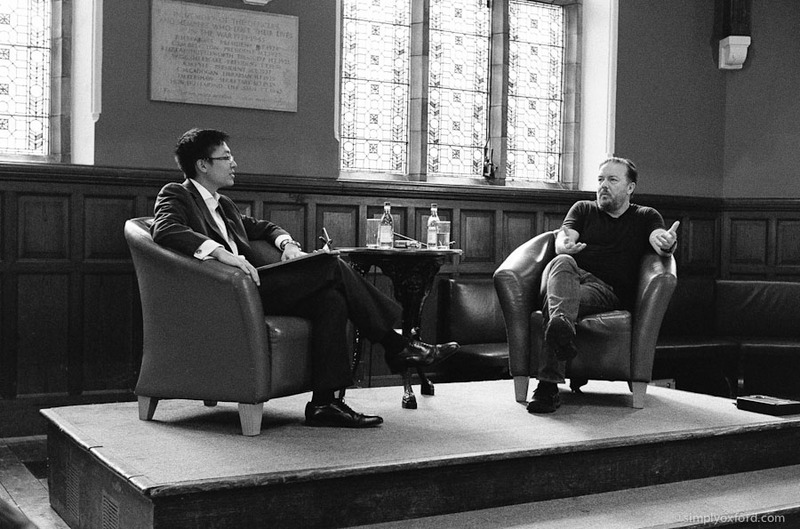 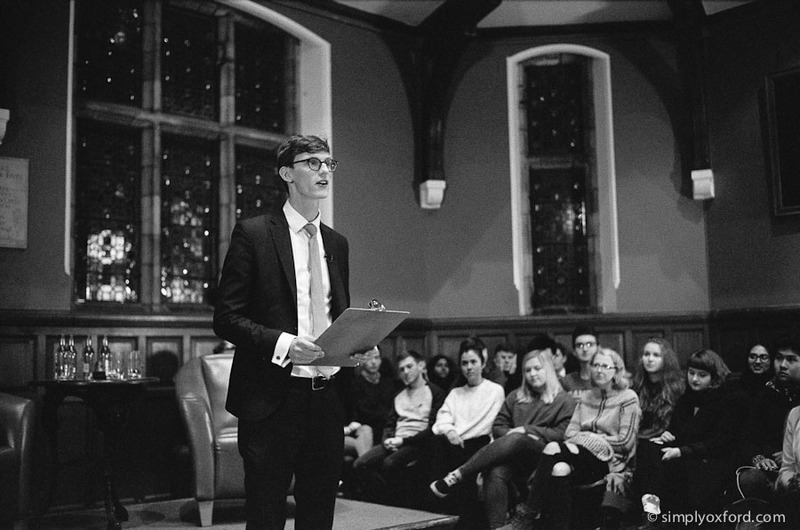 This was my first event at the Oxford Union since the summer break and with a new term there is a new President – Chris Zabilowicz. 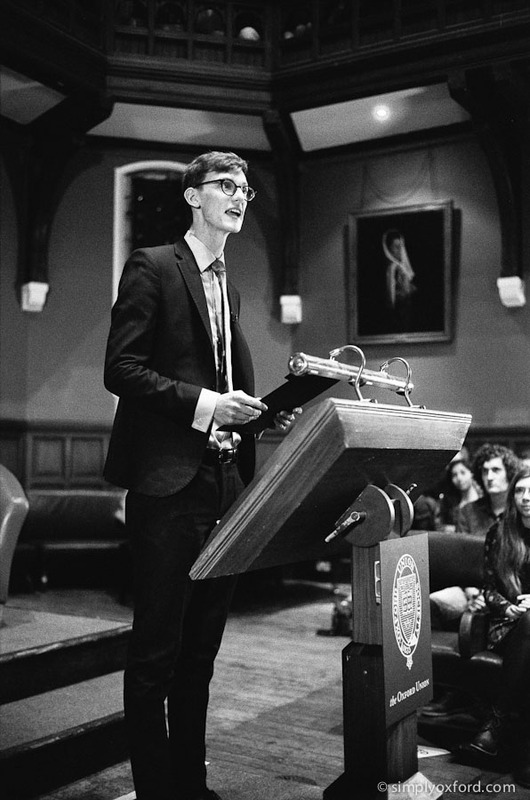 There’s an impressive line up of guest speakers planned for this term and lots to look forward to. 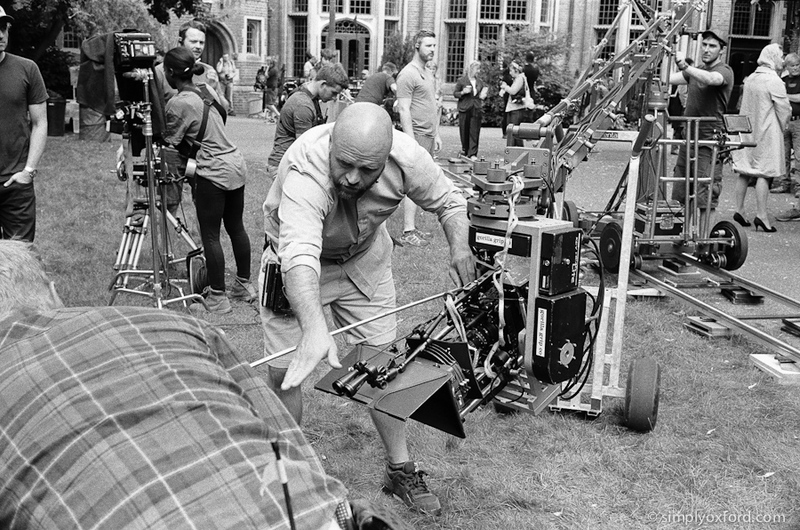 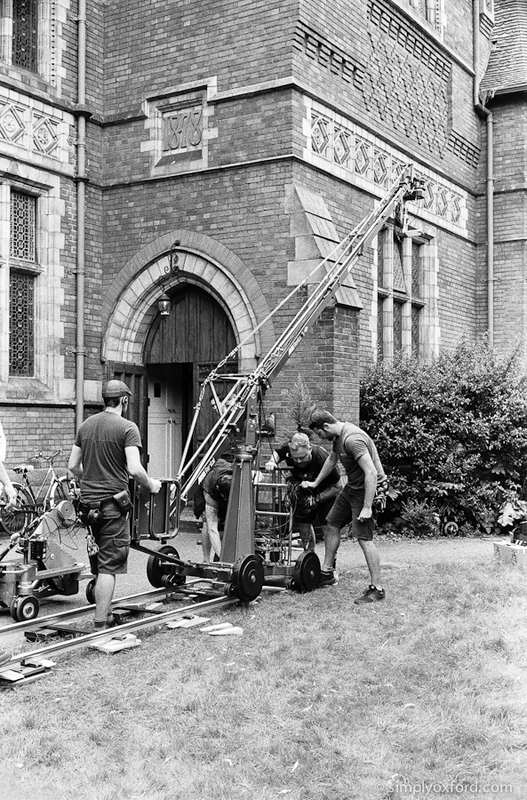 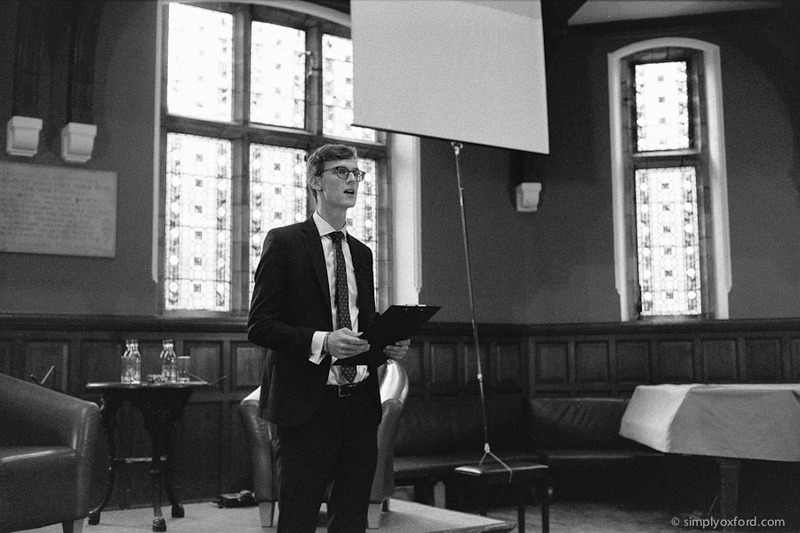 [Tech info:] Leica M6, Voigtlander 40/1.4, Ilford HP5 @ ISO 1600, developed in HC110 1+15 using the time for 3200 to give an extra boost to the negs. 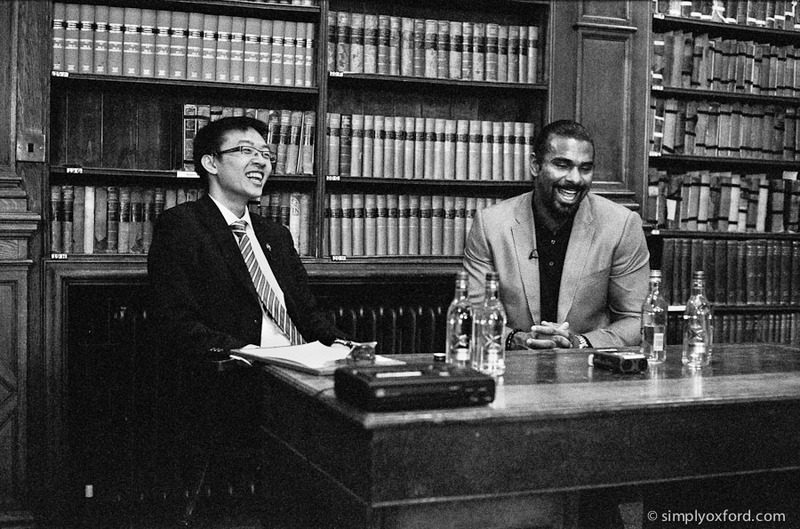 Pakon scans. 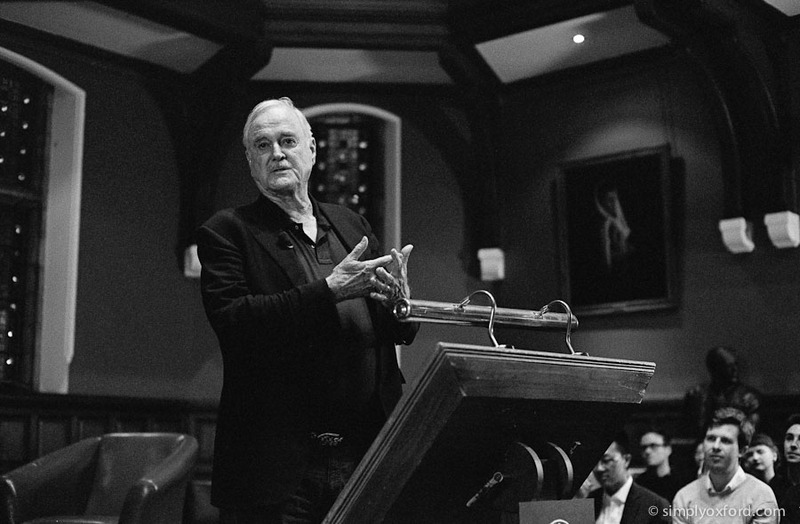 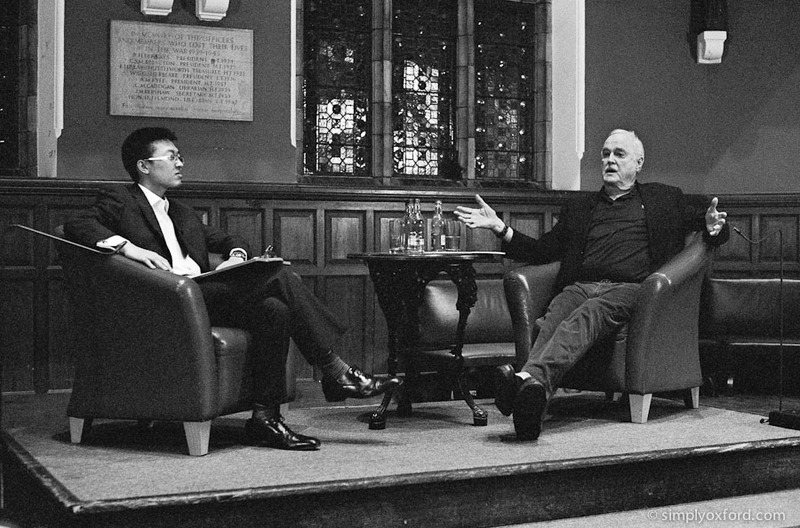 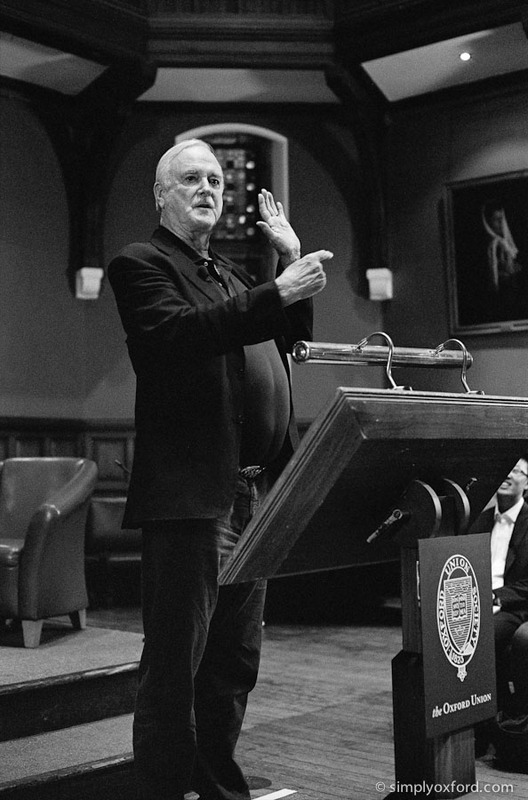 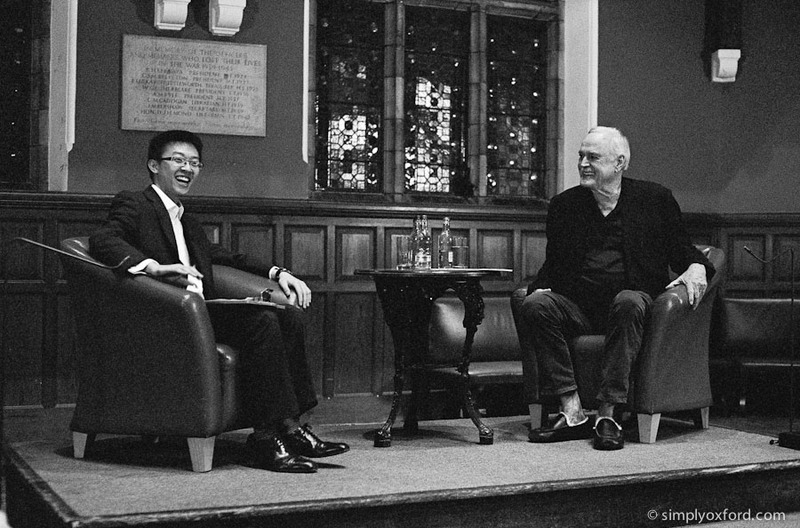 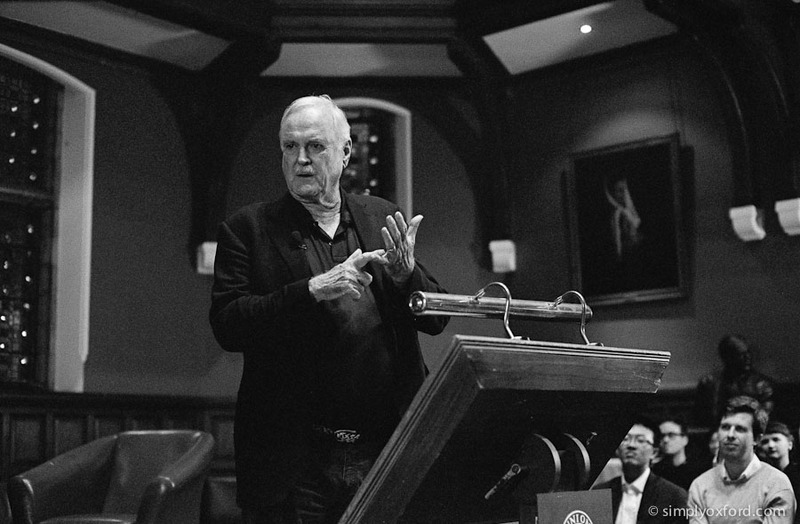 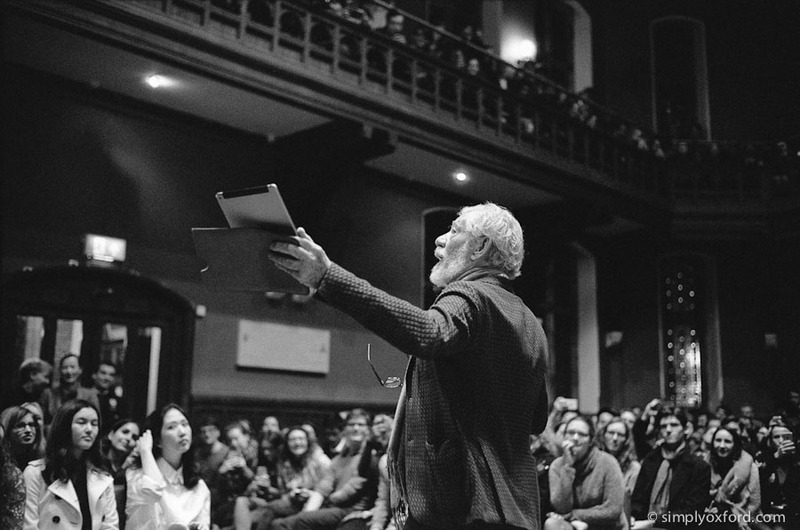 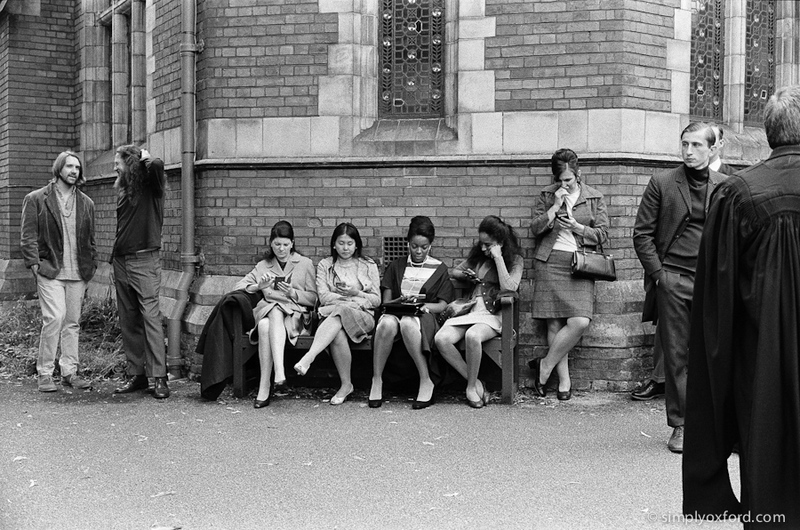 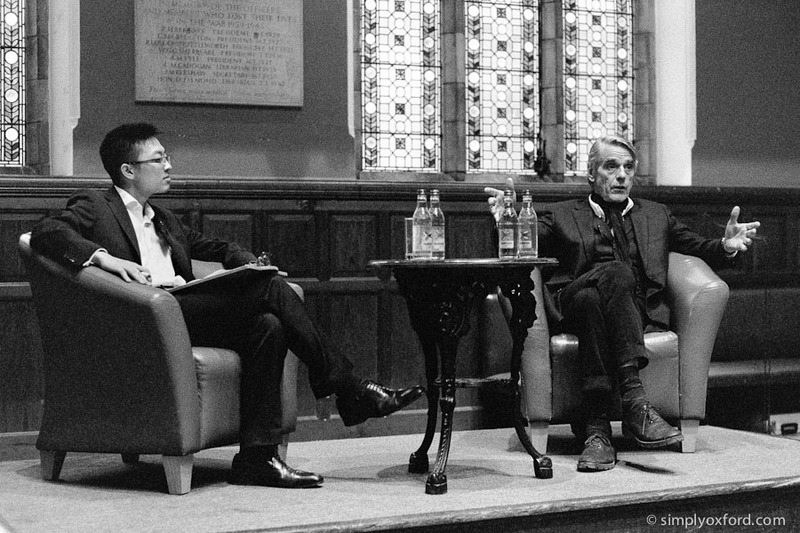 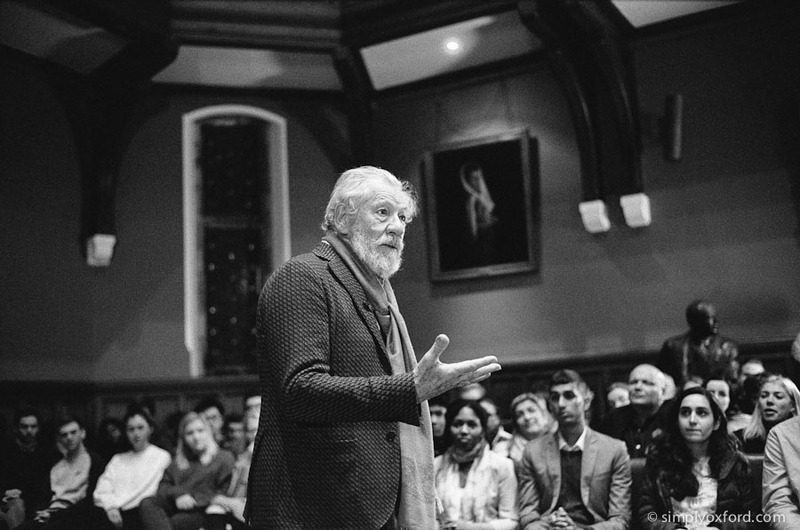 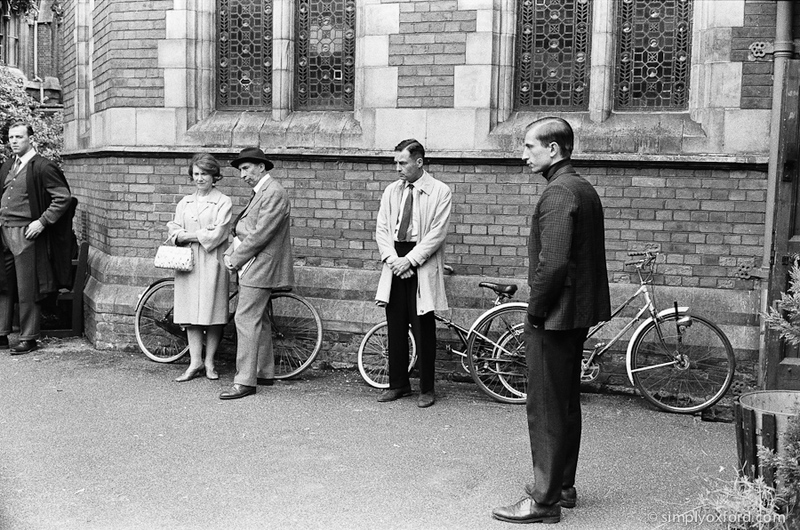 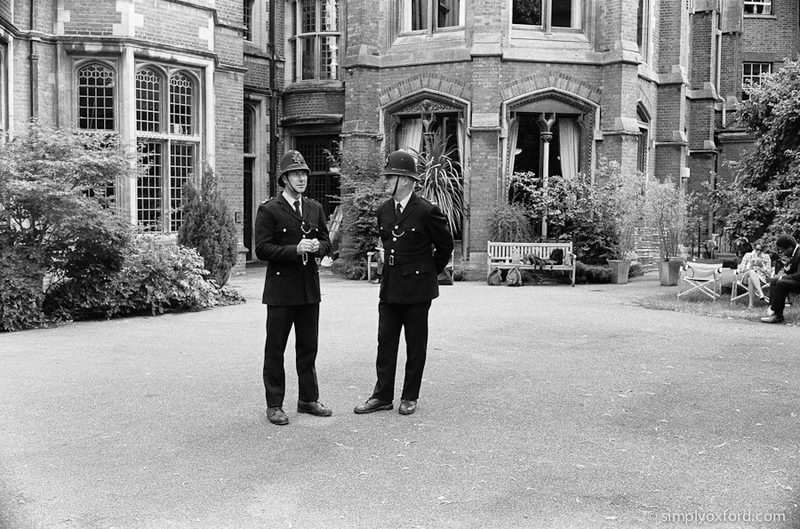 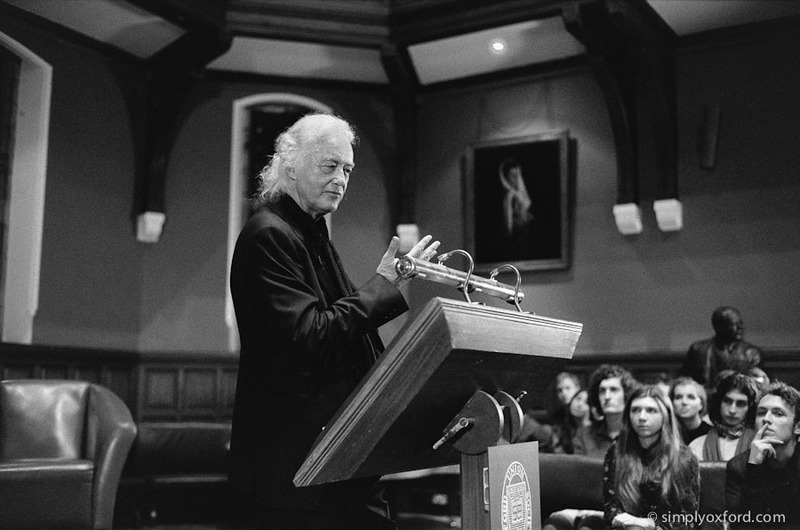 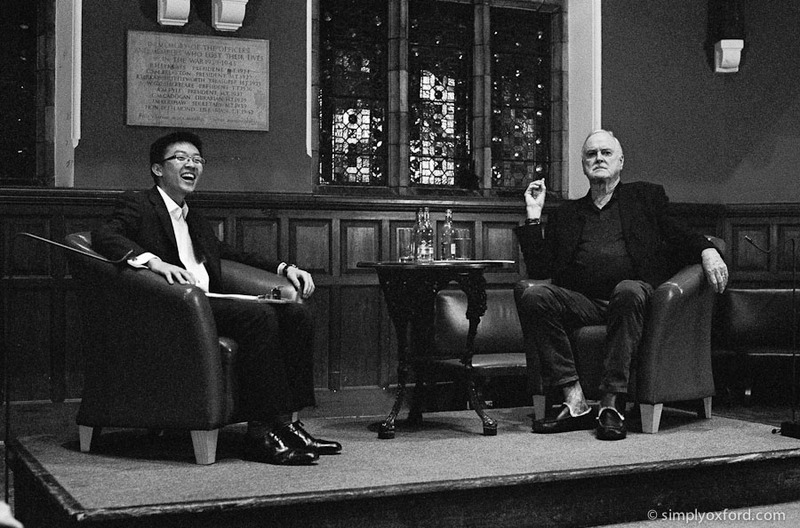 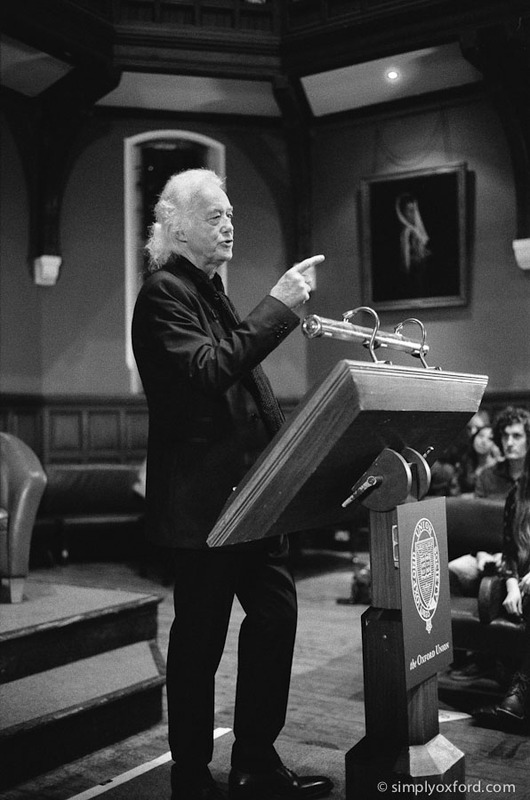 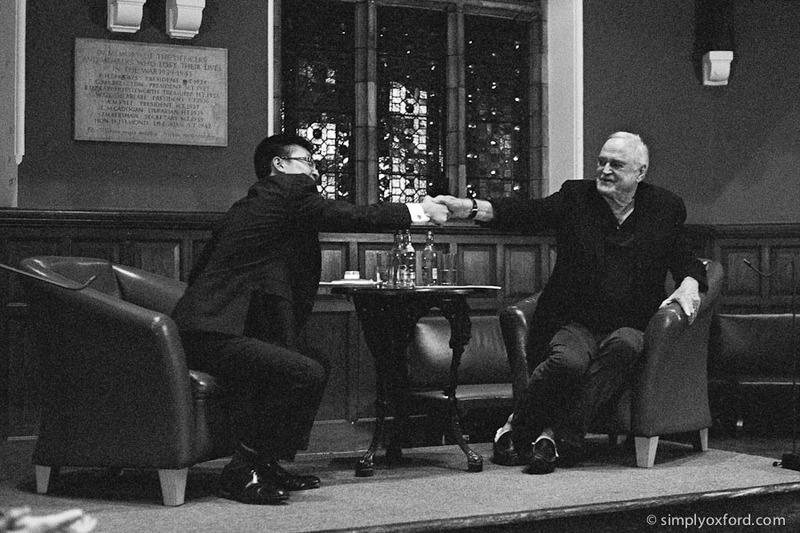 John Cleese came to the Oxford Union to give a talk and I went along to do some photography. 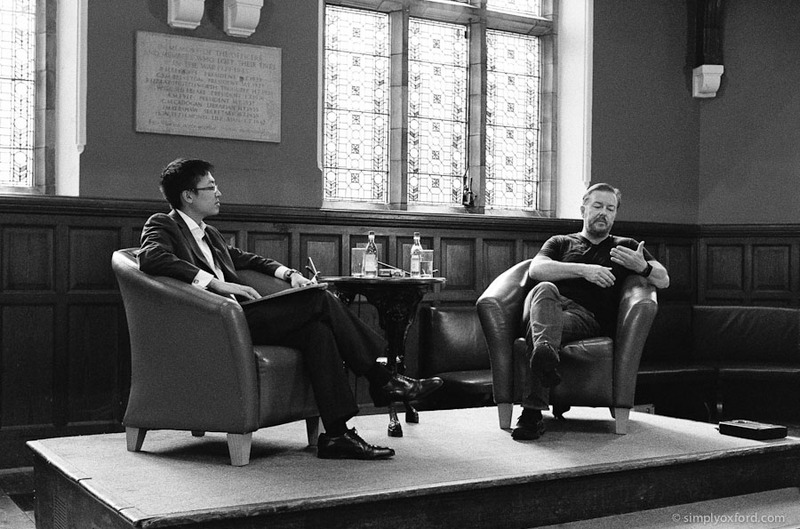 I found the talk very interesting with plenty of humour thrown in for good measure. 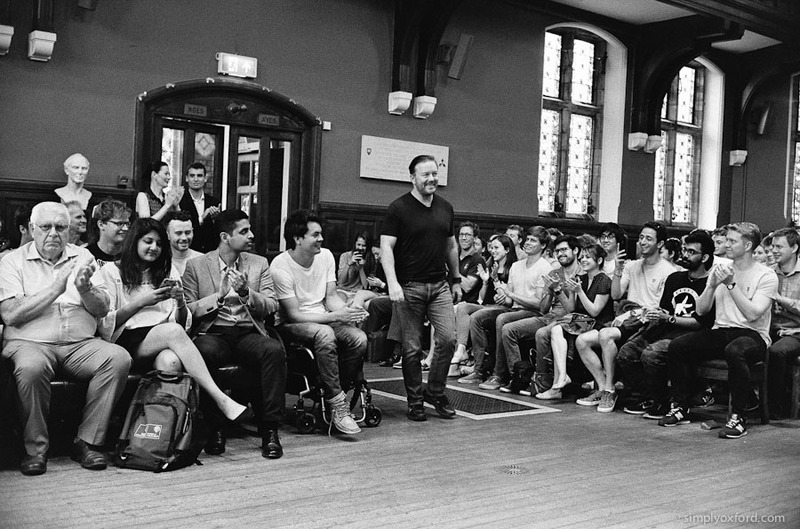 The Union was absolutely packed to the rafters which is something I haven’t seen since Stephen Hawking visited. 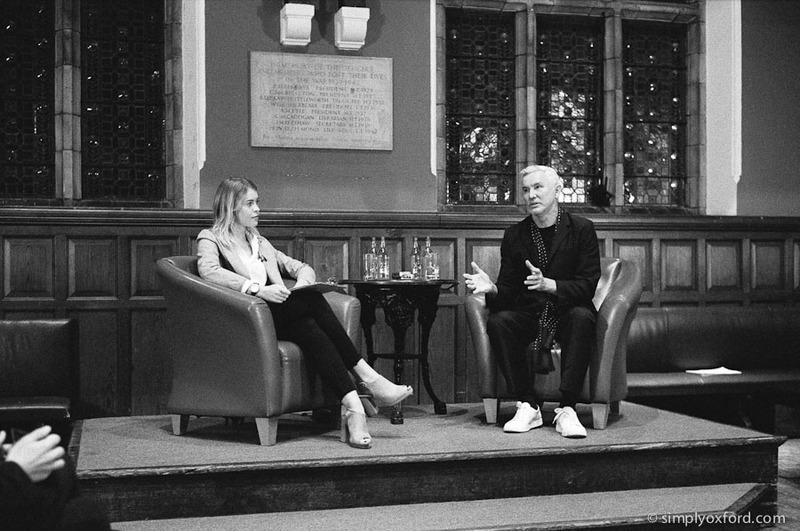 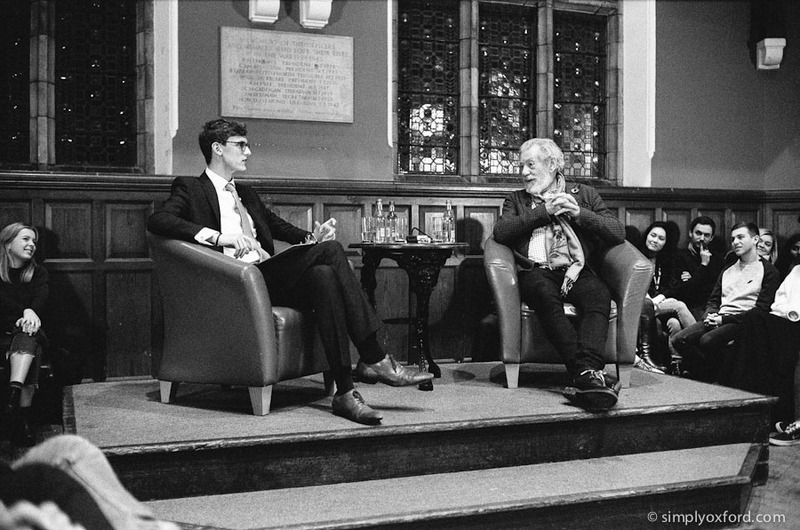 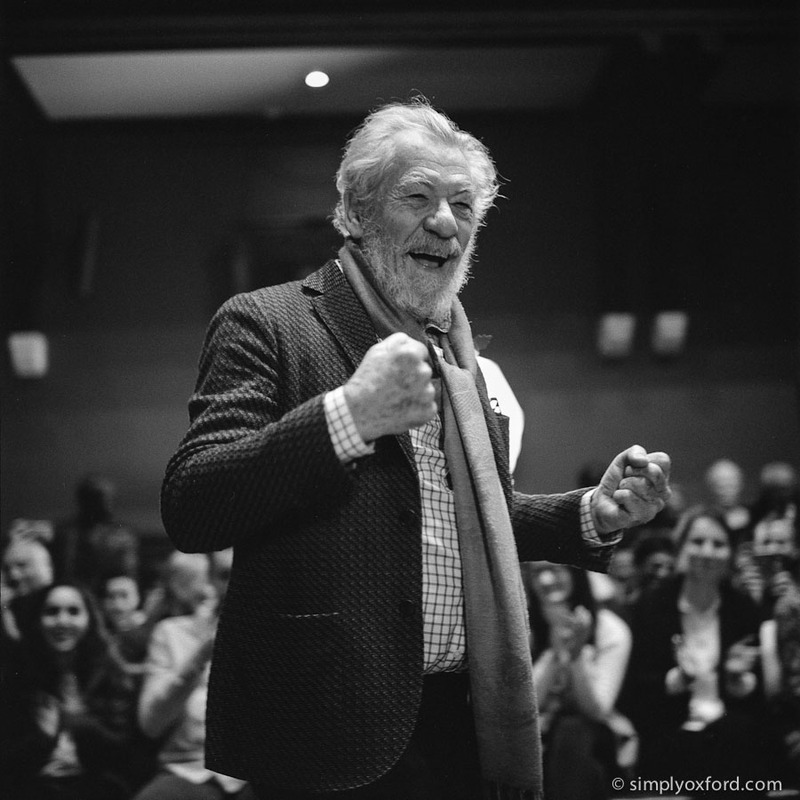 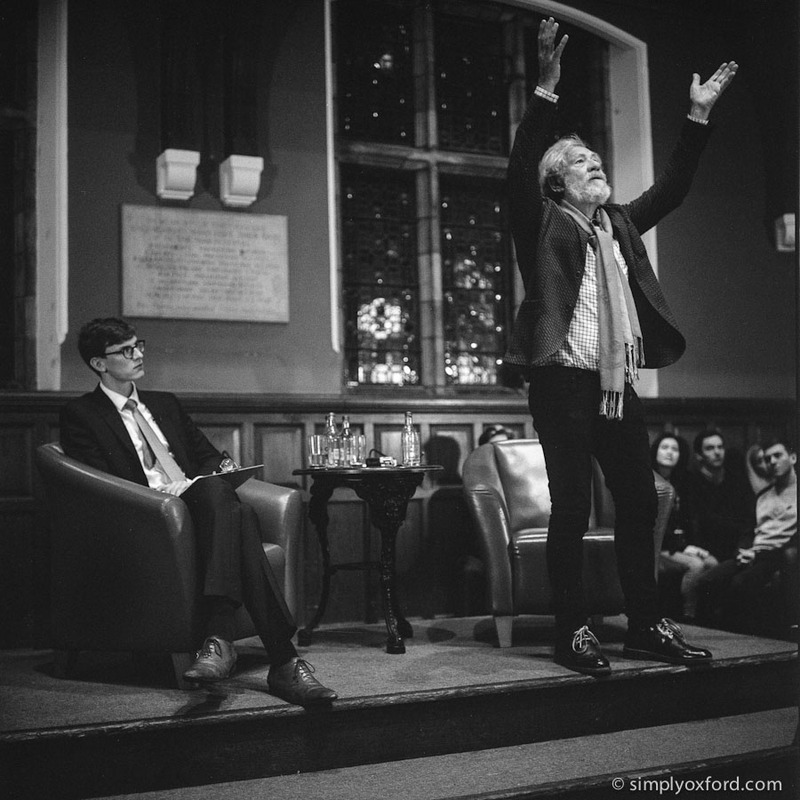 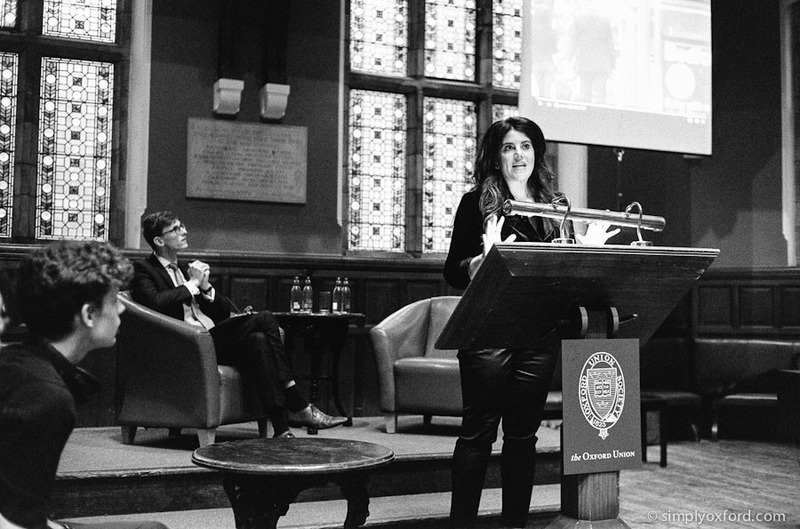 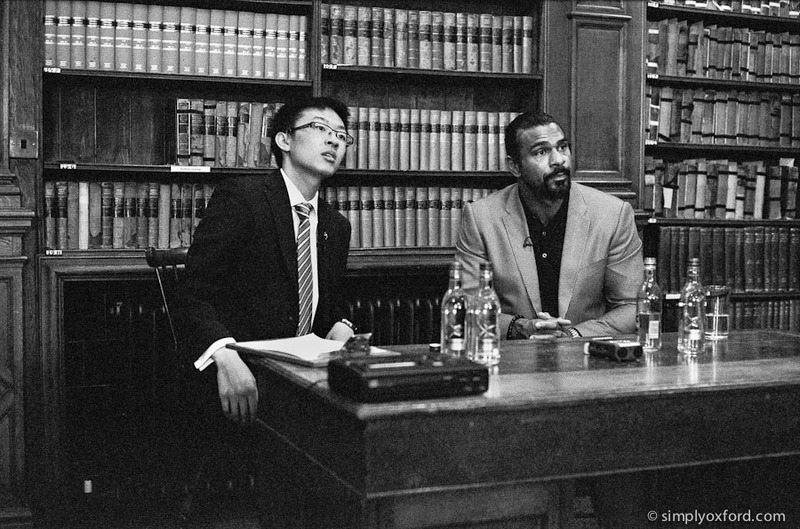 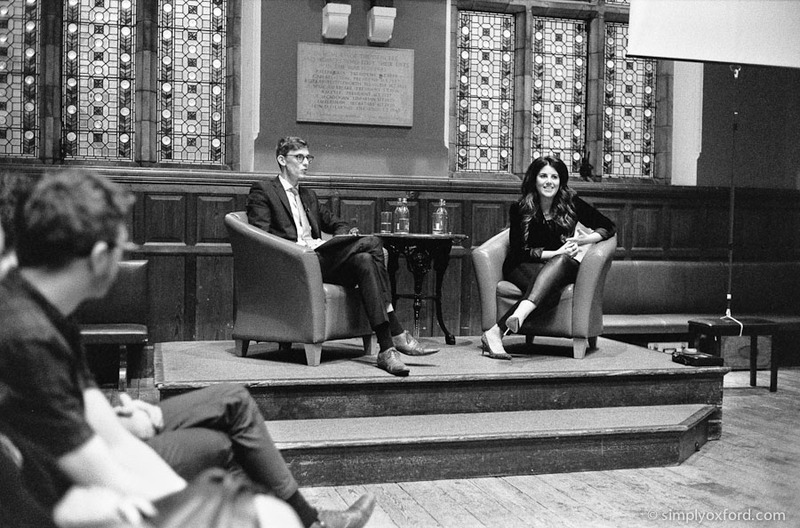 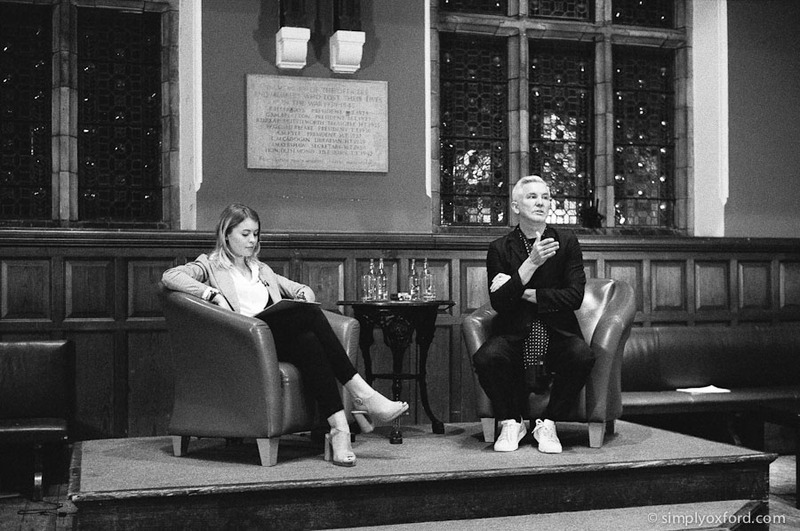 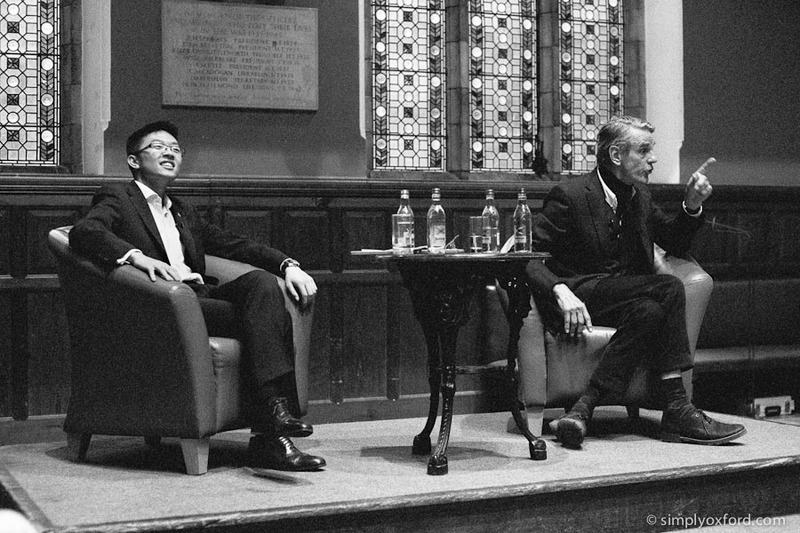 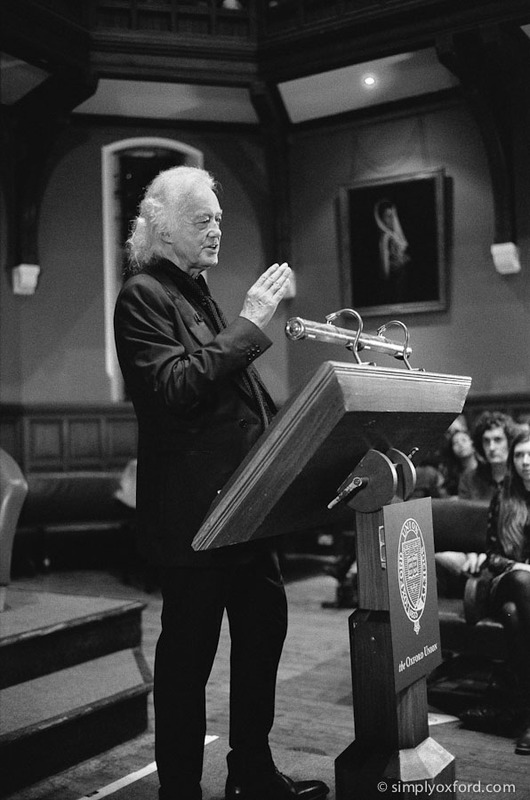 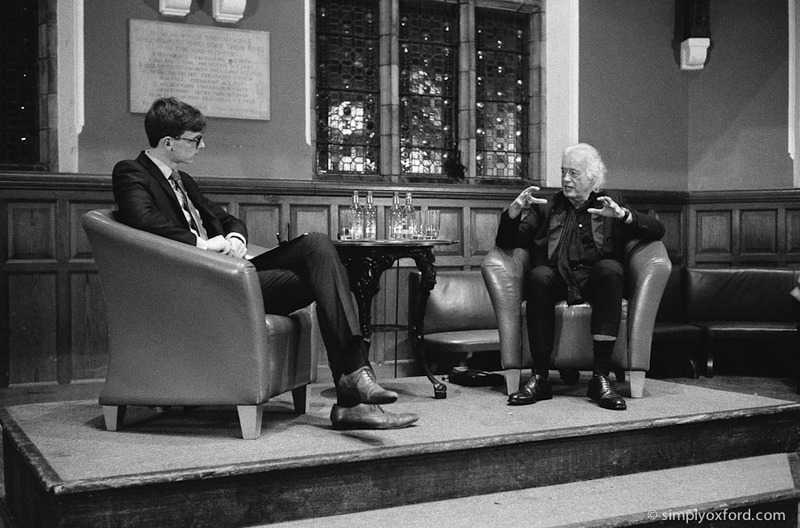 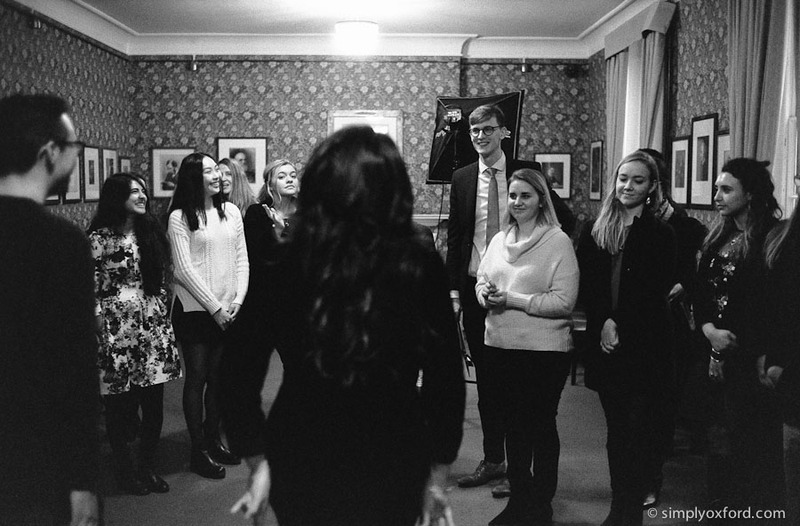 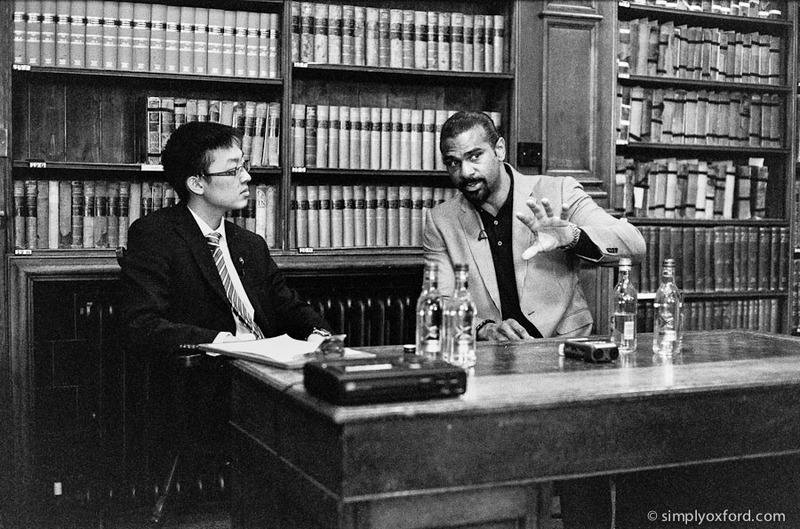 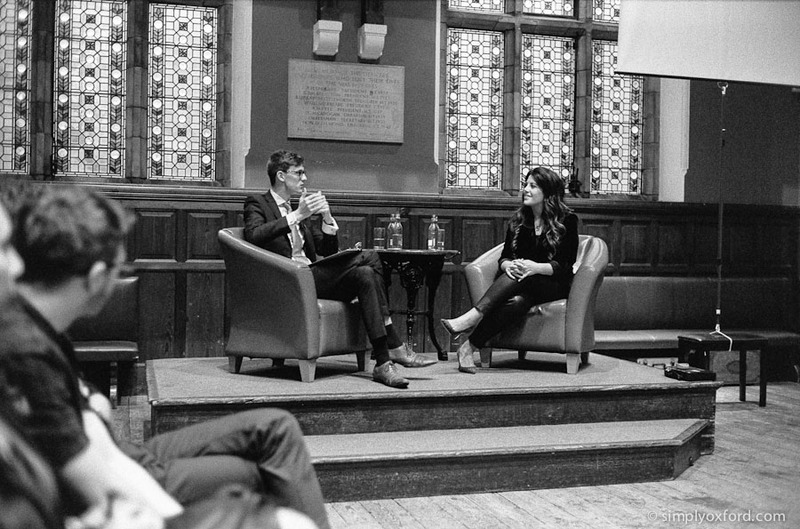 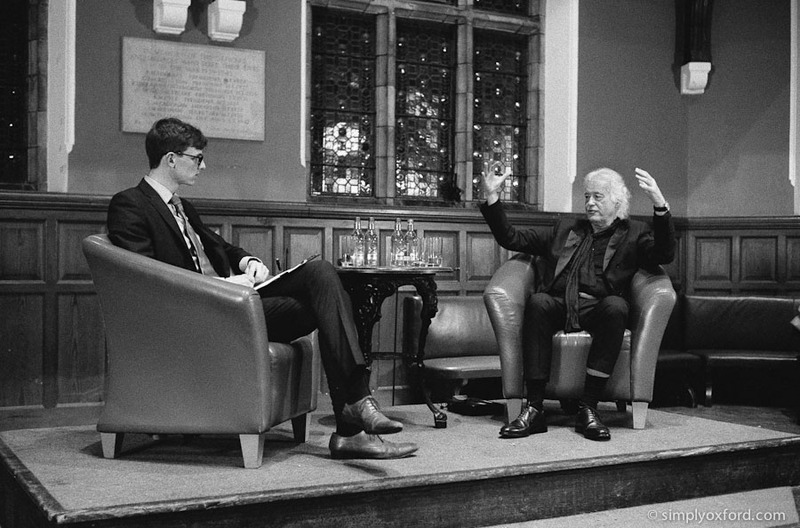 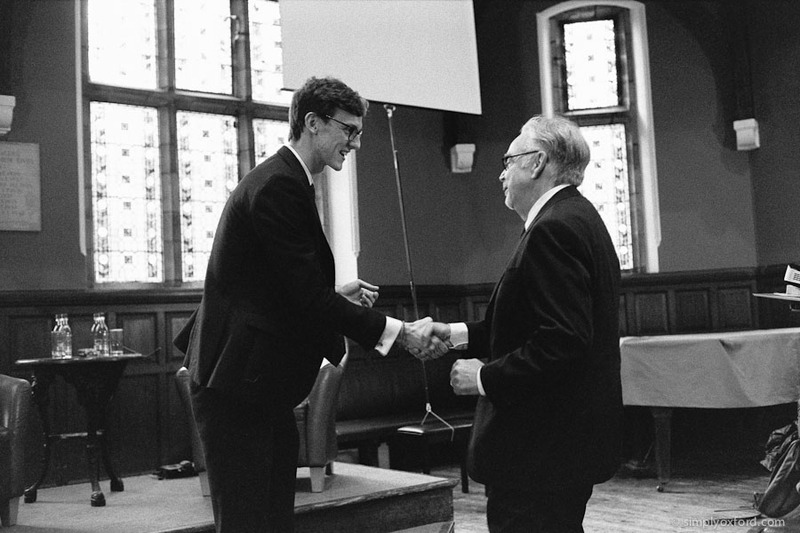 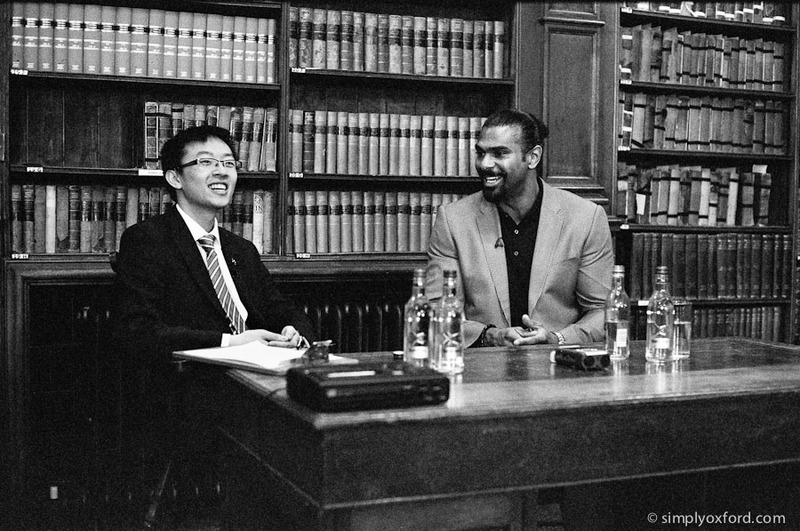 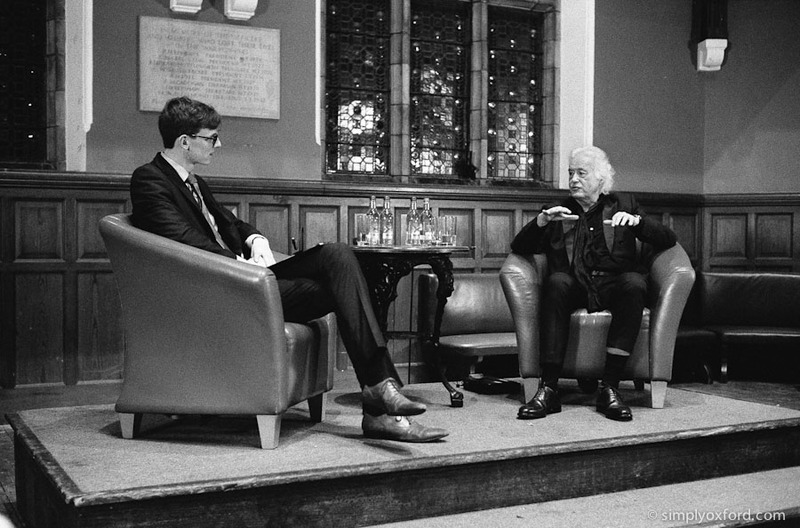 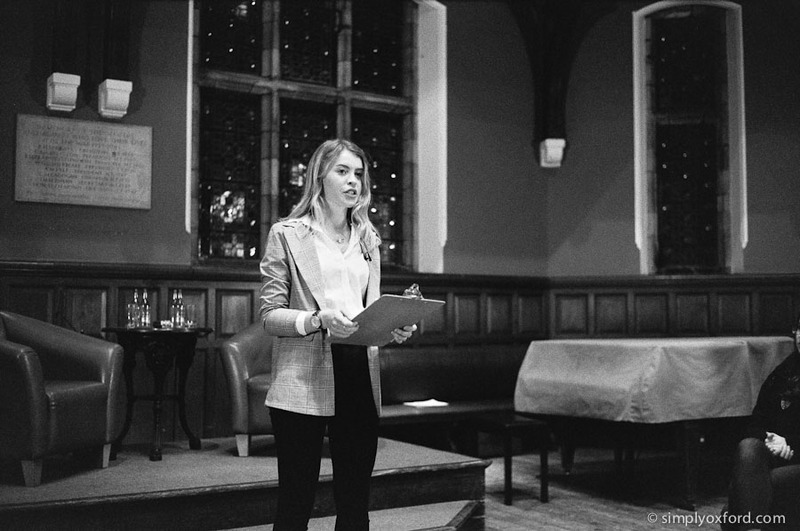 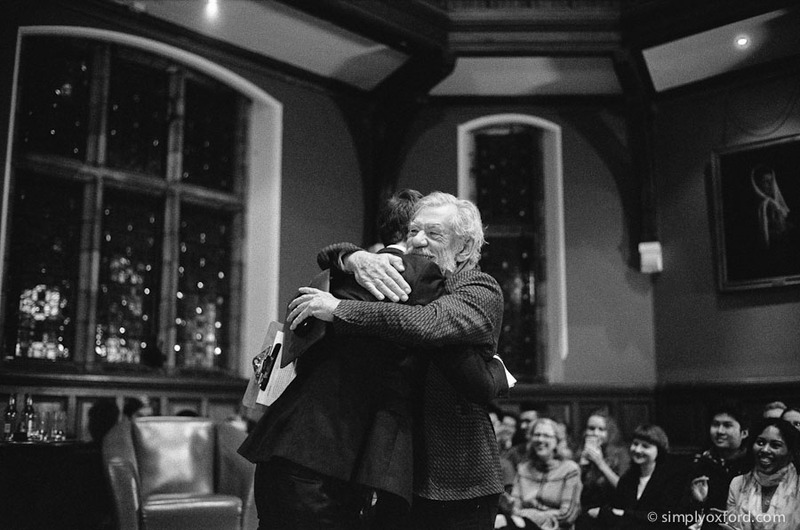 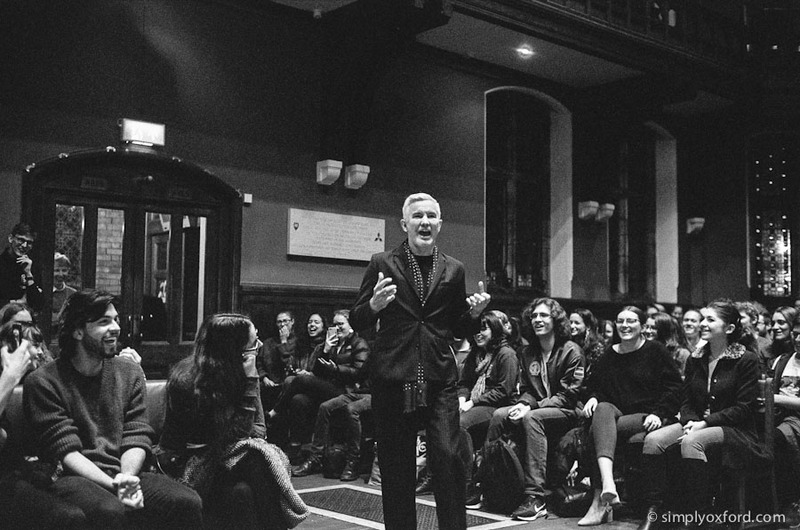 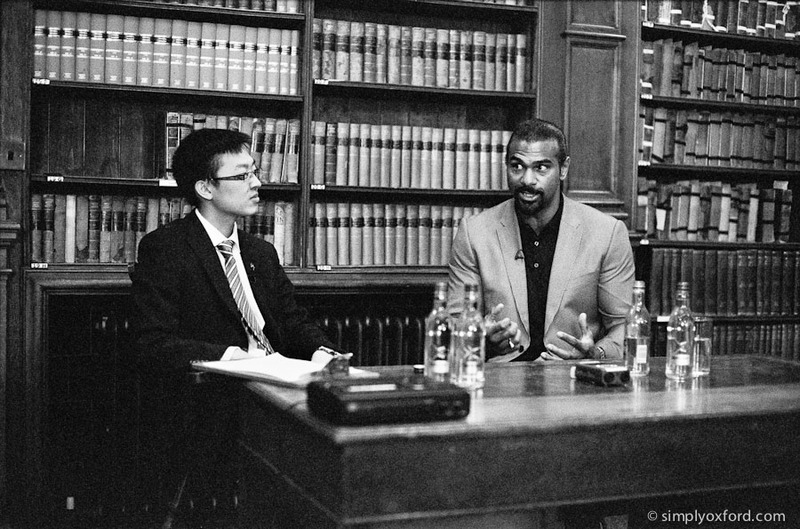 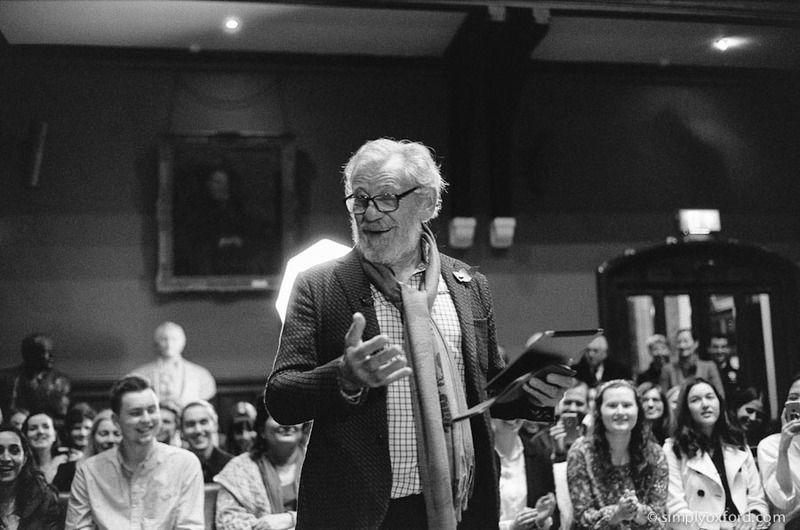 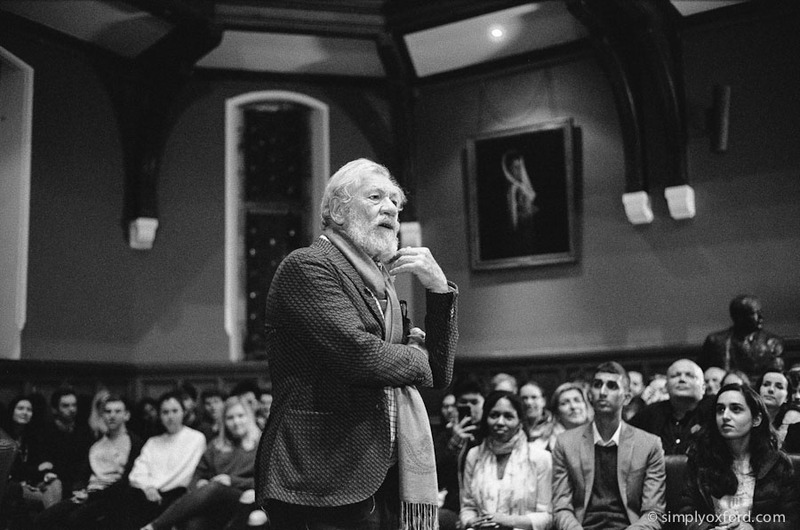 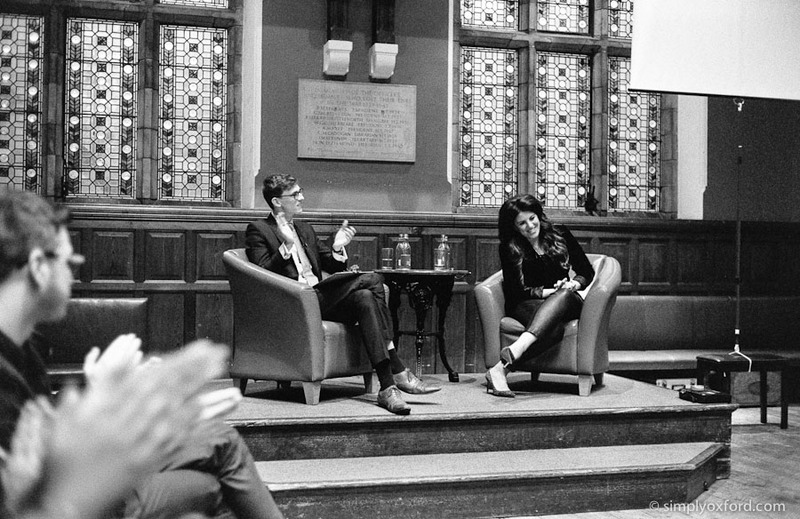 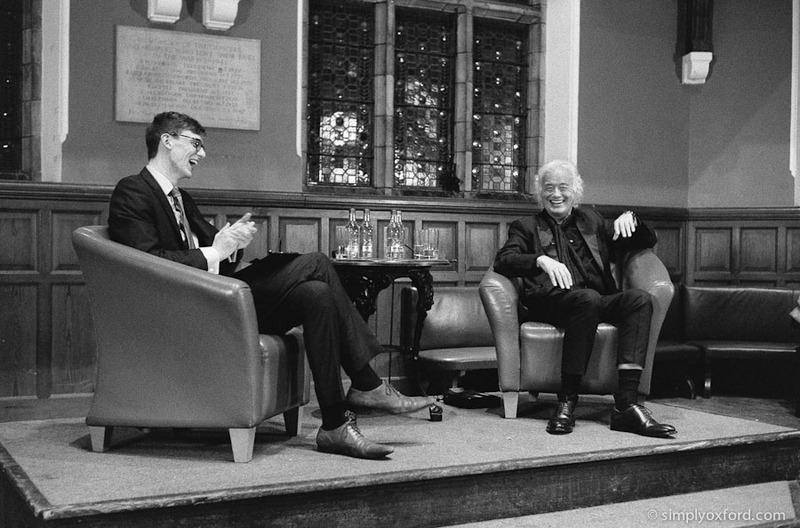 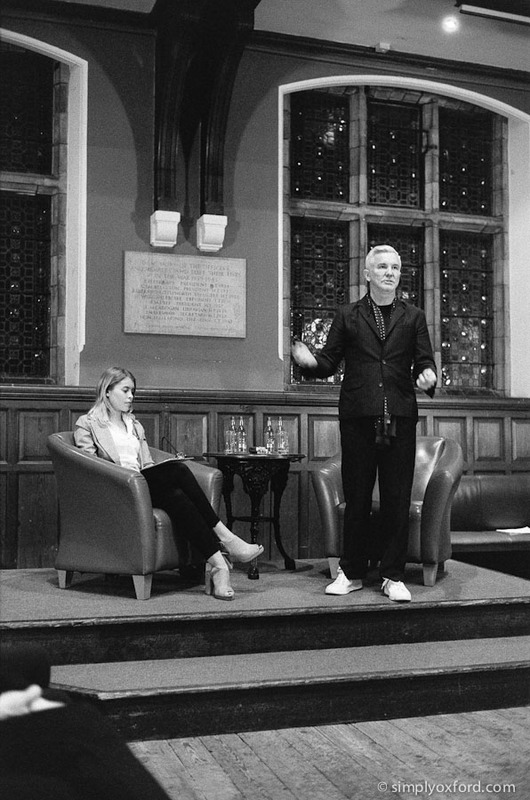 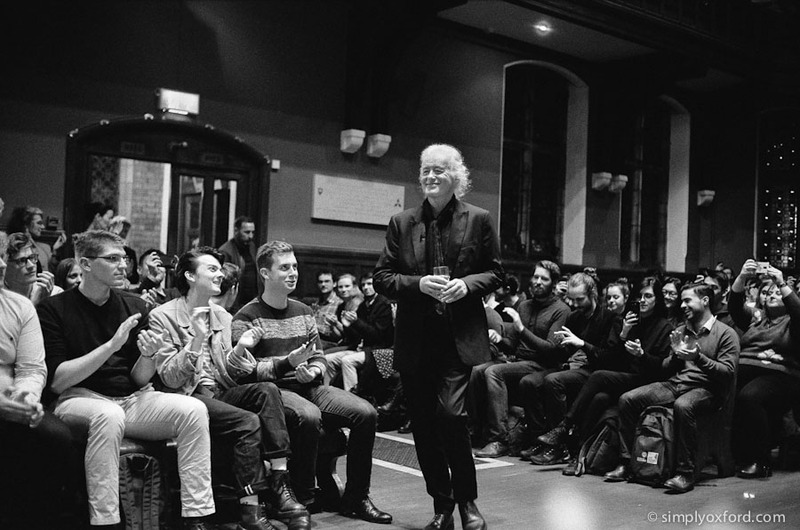 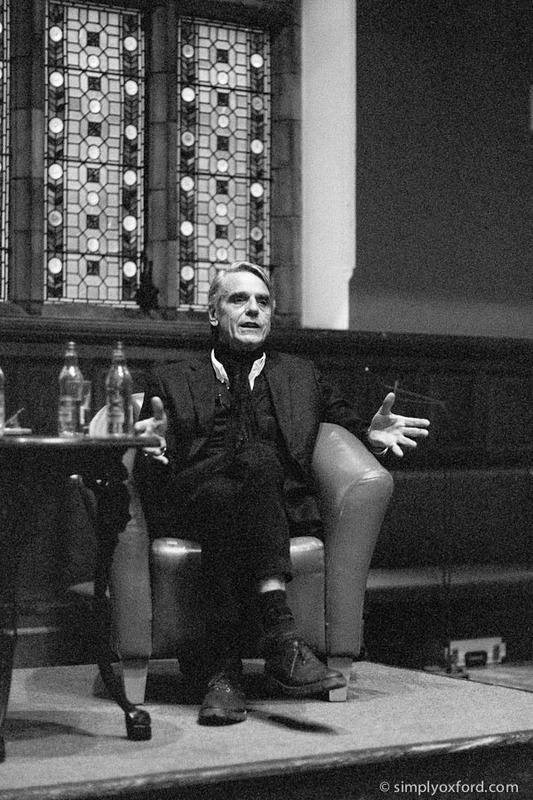 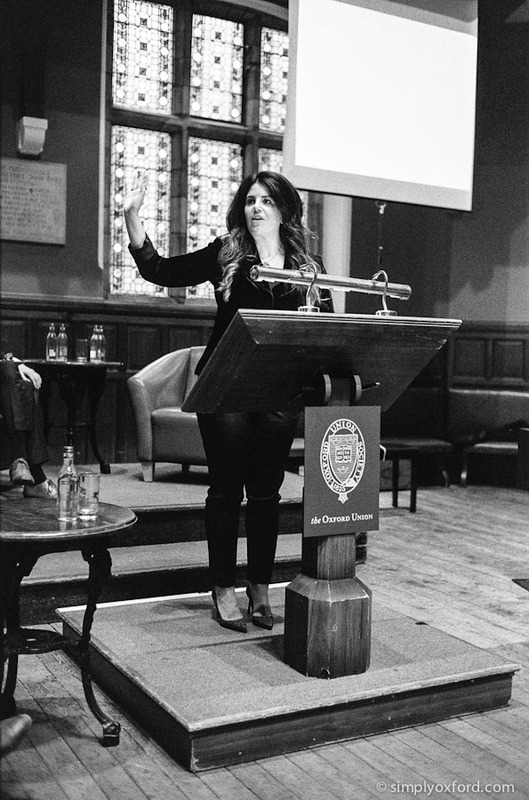 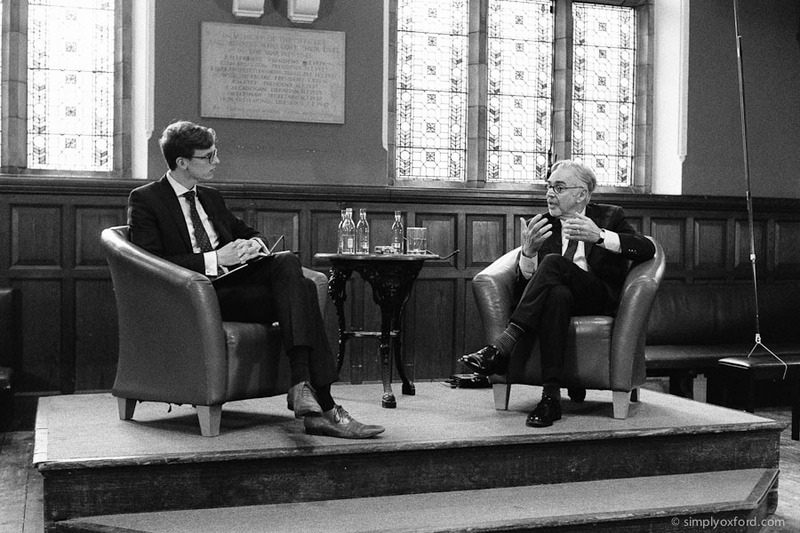 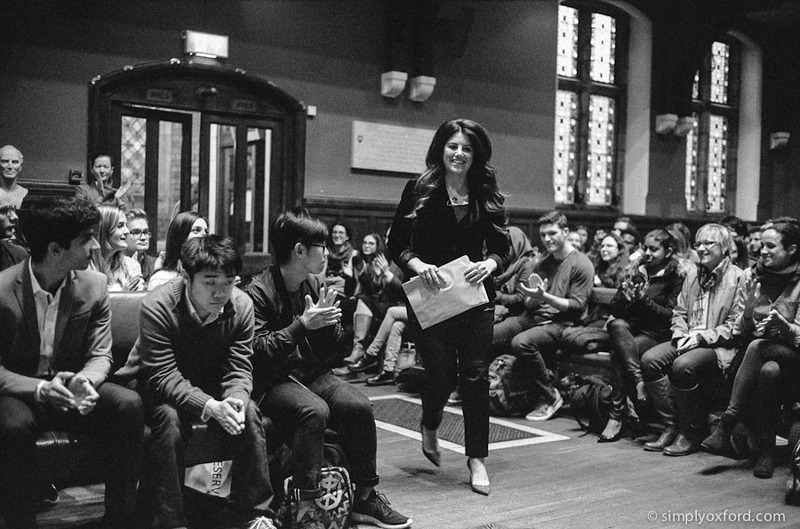 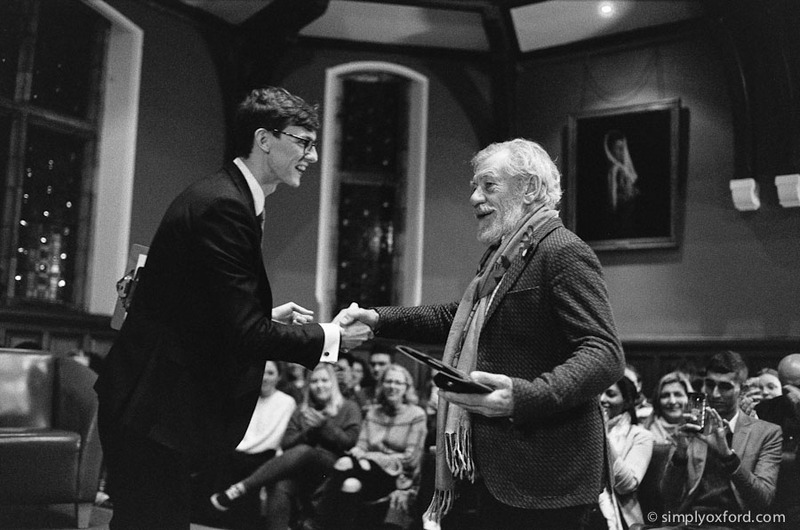 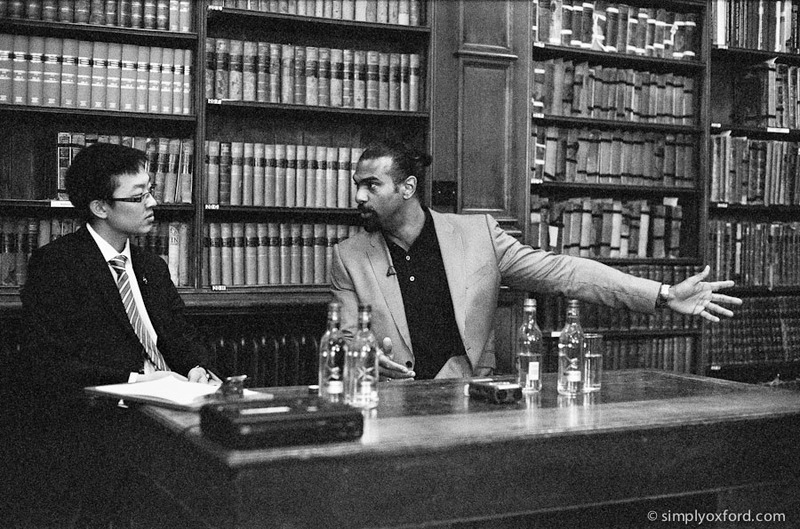 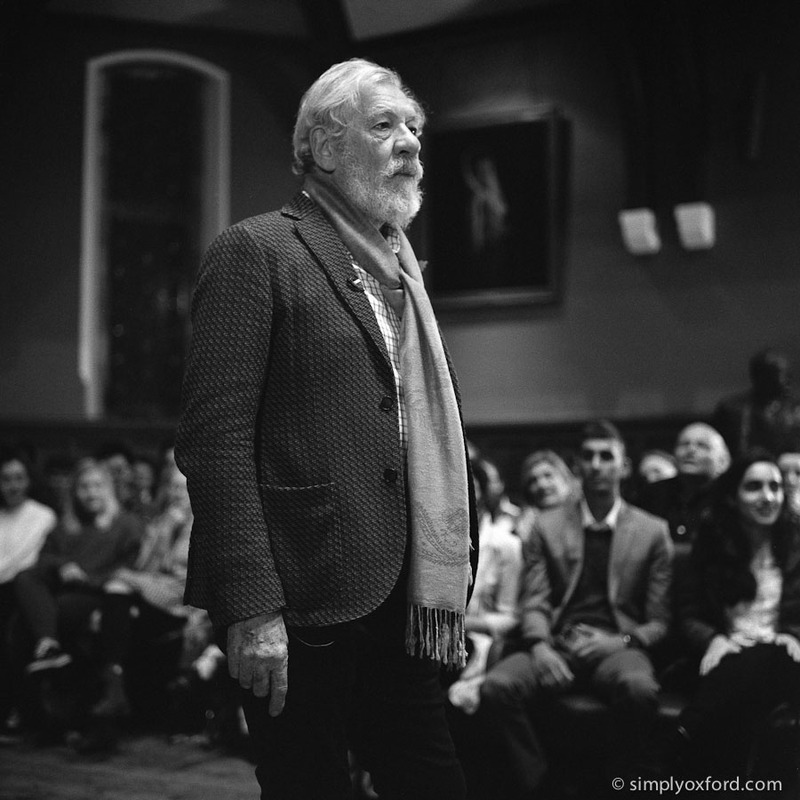 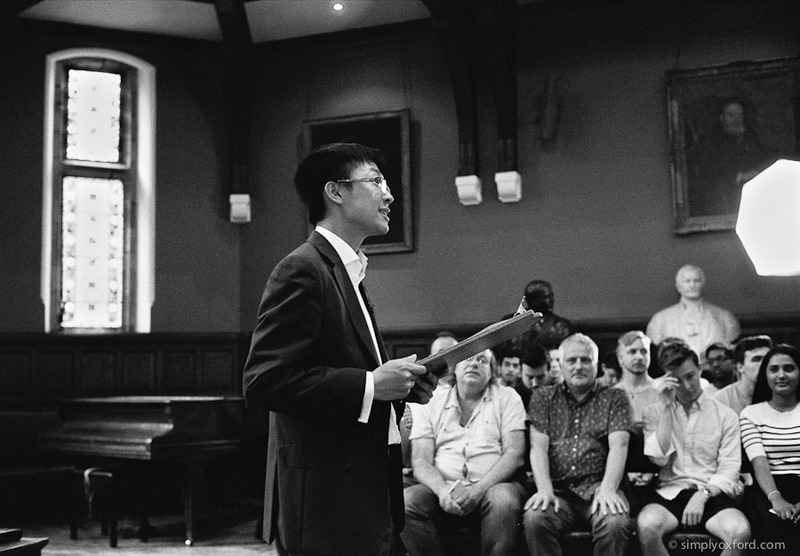 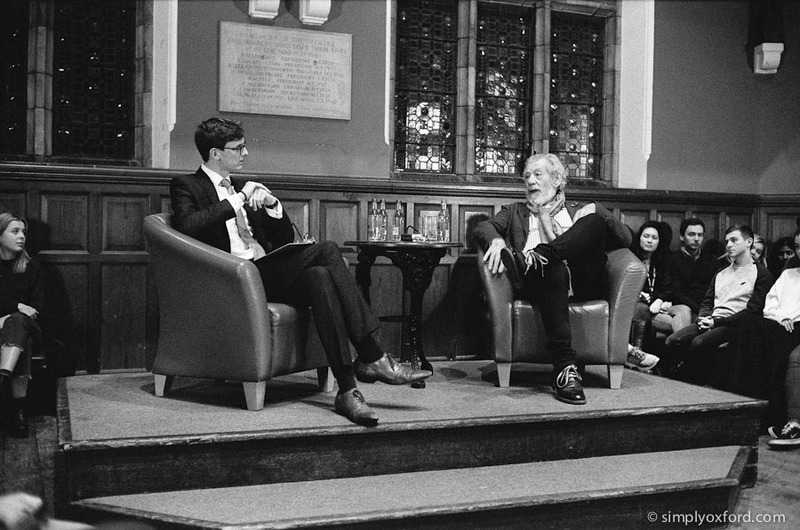 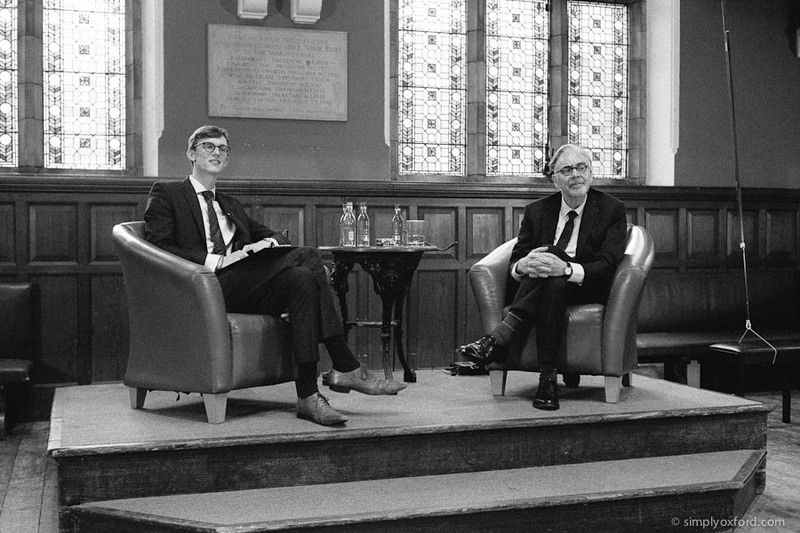 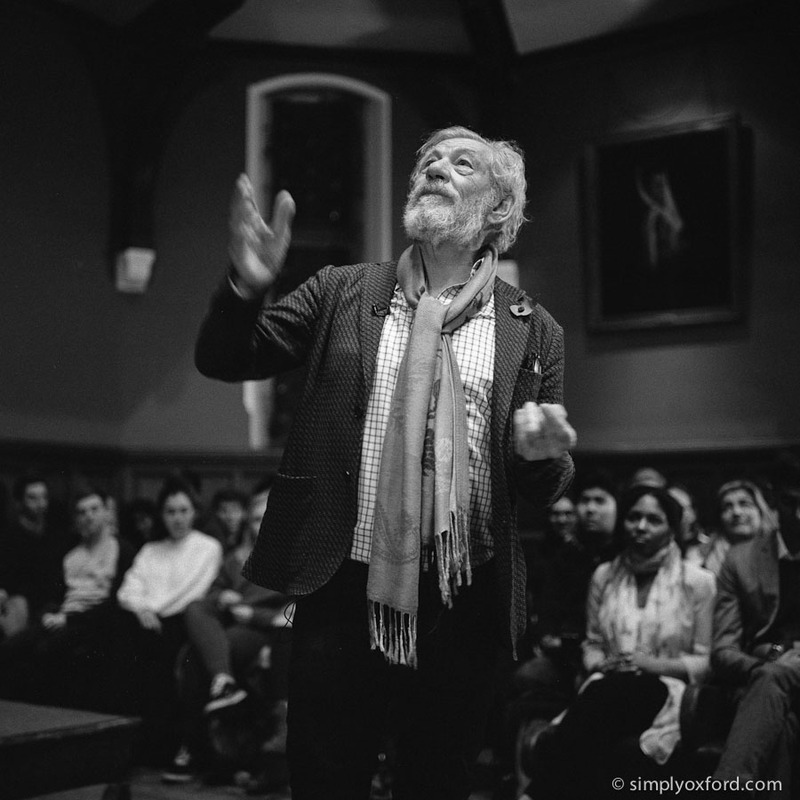 This event was the first time I got to use my Voigtlander 75/1.8 Heliar lens in low light, I bought it mainly to photograph the Oxford Union events with because I wanted more reach than the 50mm I was using and I have to say I am very pleased with how it performed. 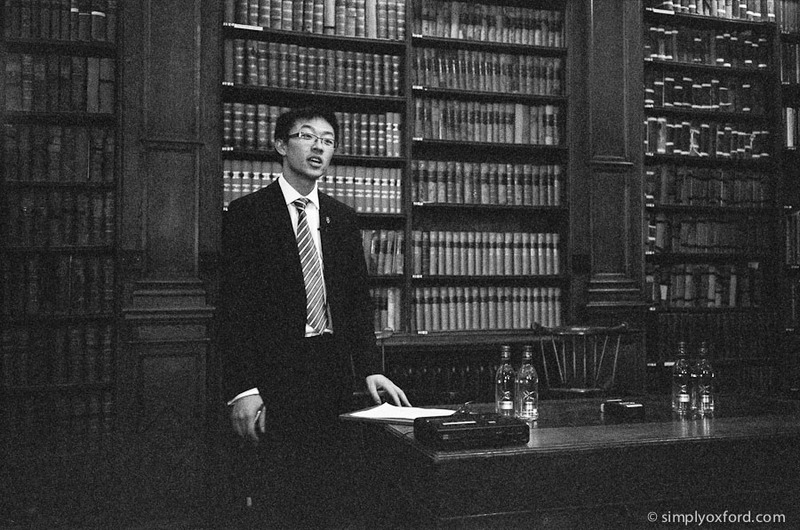 [Tech info:] Leica M6, Voigtlander 75/1.8 Heliar, Kodak TMAX 400 @ ISO 3200, developed in Kodak HC110 1+31 for 10mins, Pakon scans.